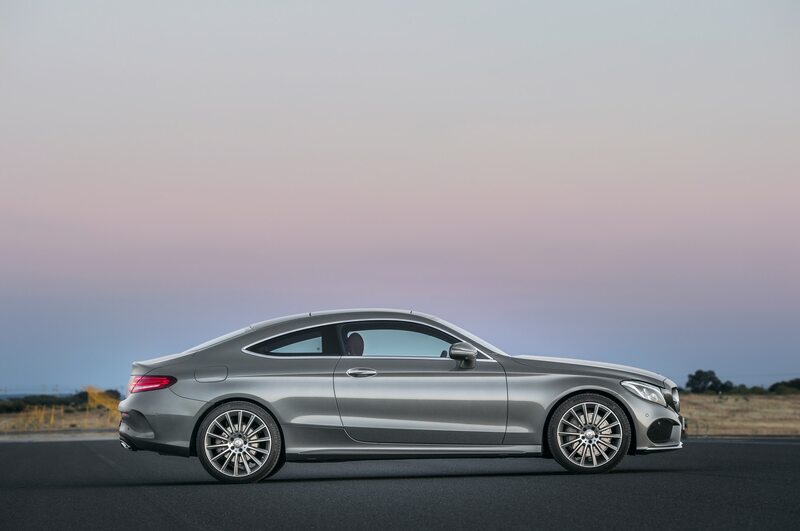 S-Class coupe styling on a smaller, more affordable scale. 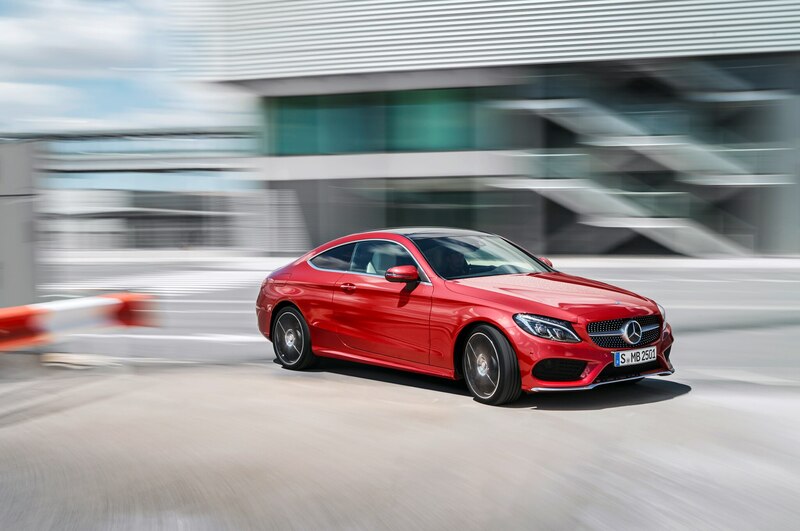 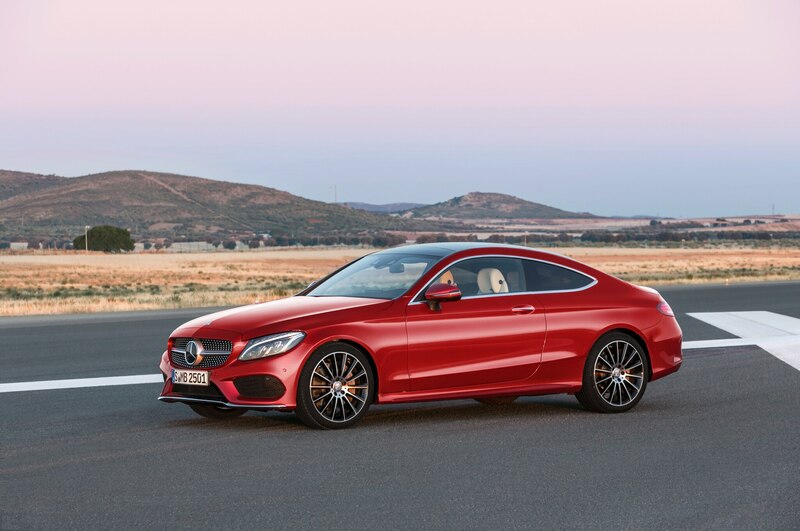 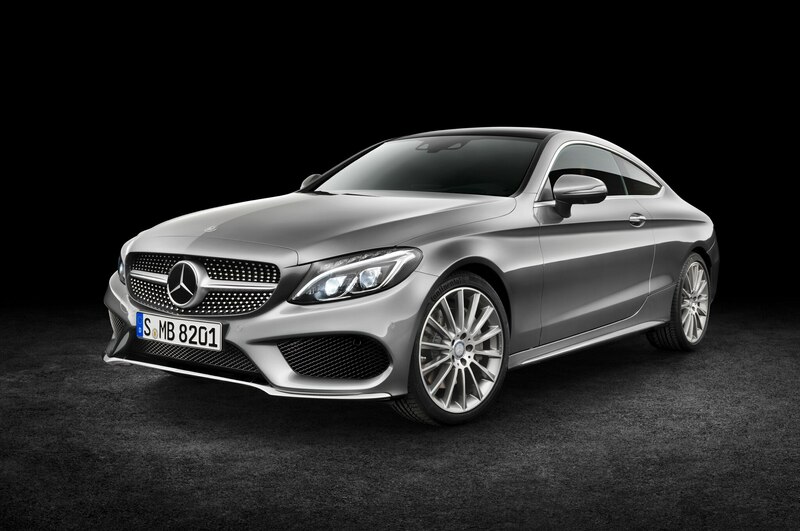 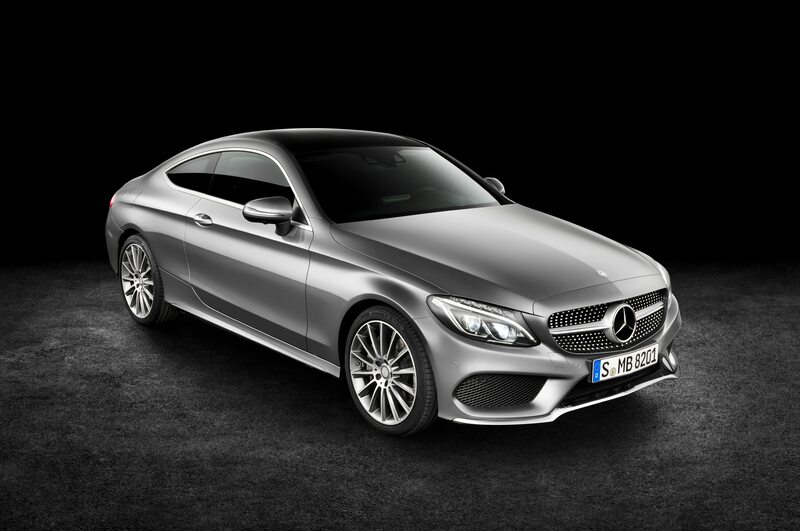 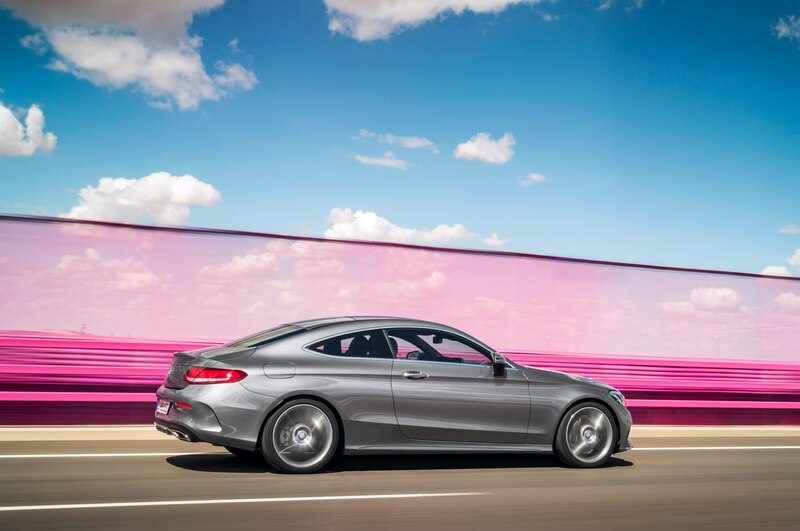 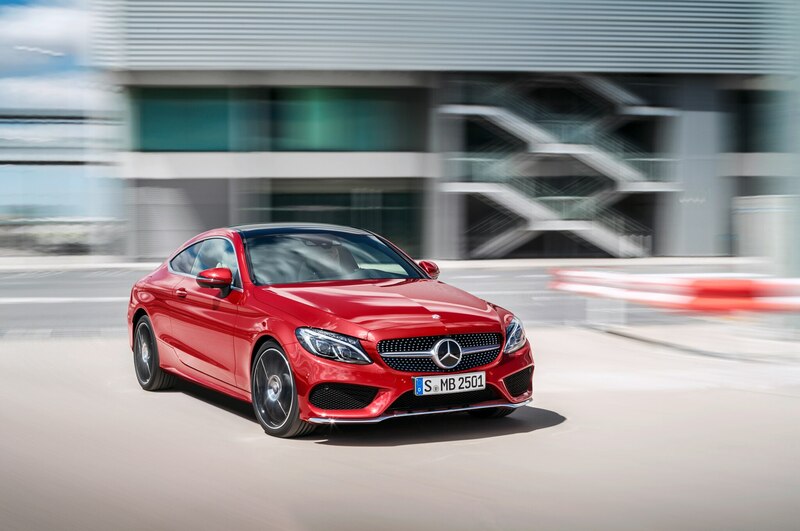 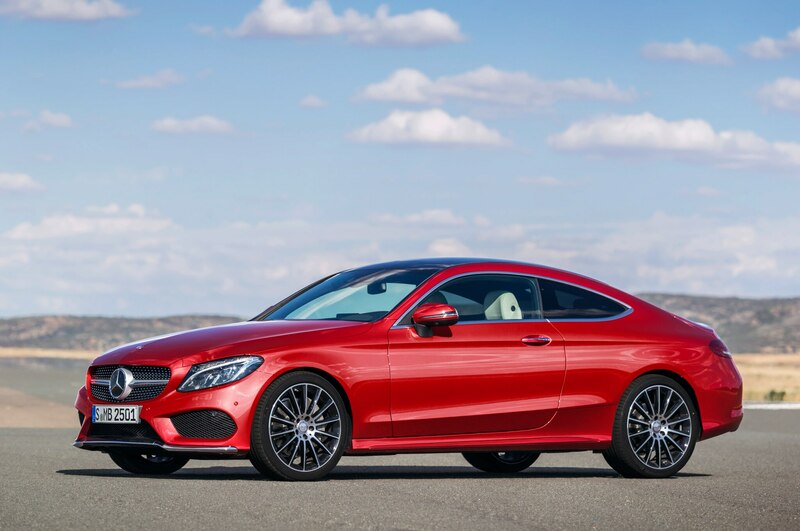 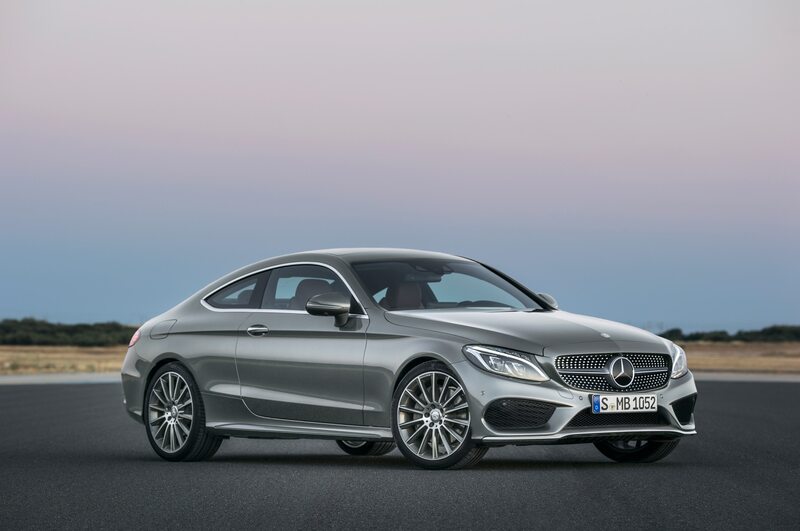 The 2017 Mercedes-Benz C-Class Coupe makes its official debut in the form of the C300 and C300 4Matic coupes. 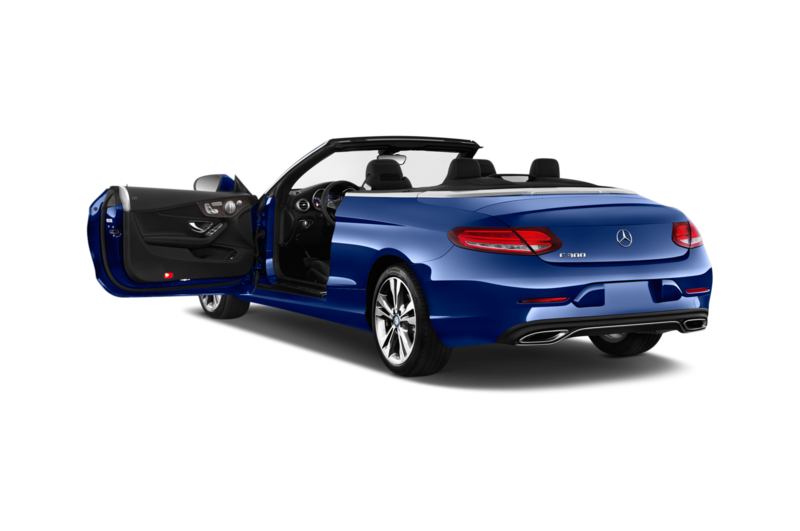 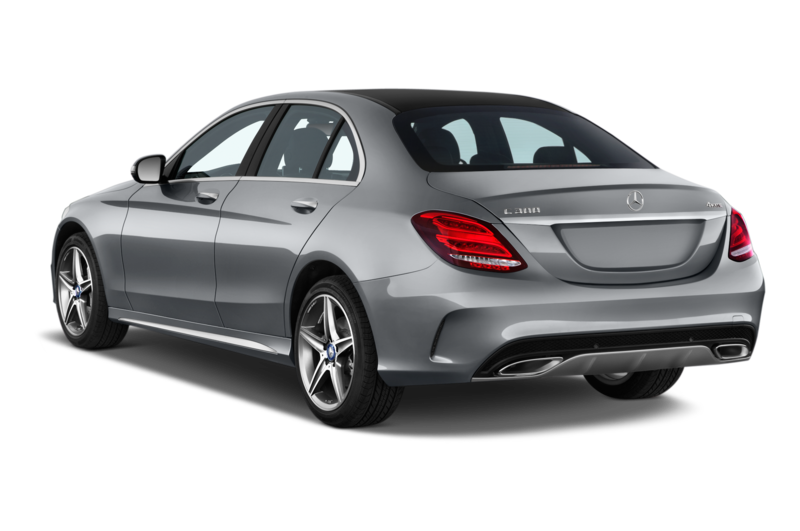 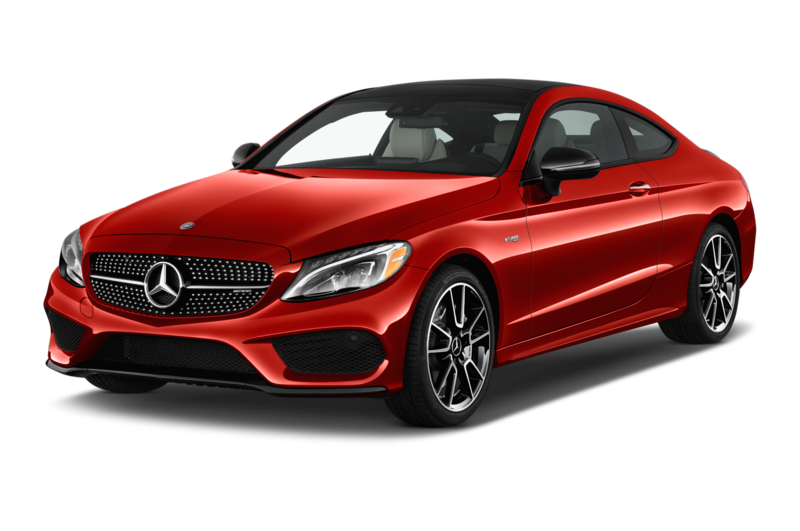 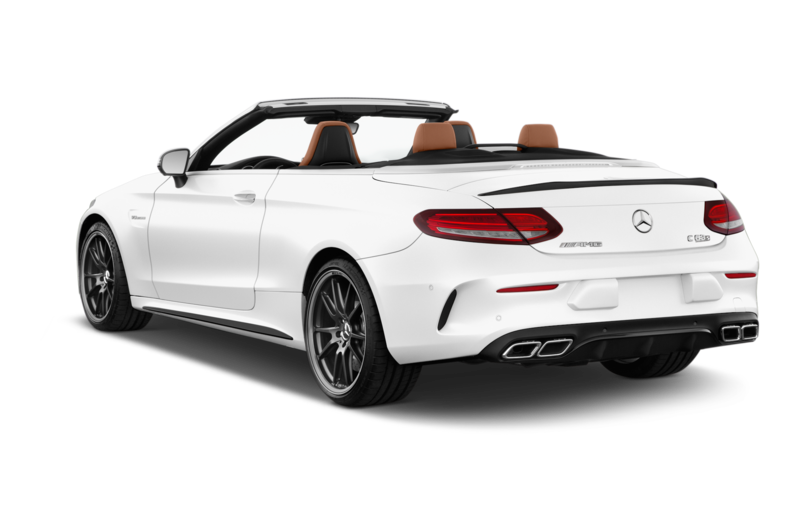 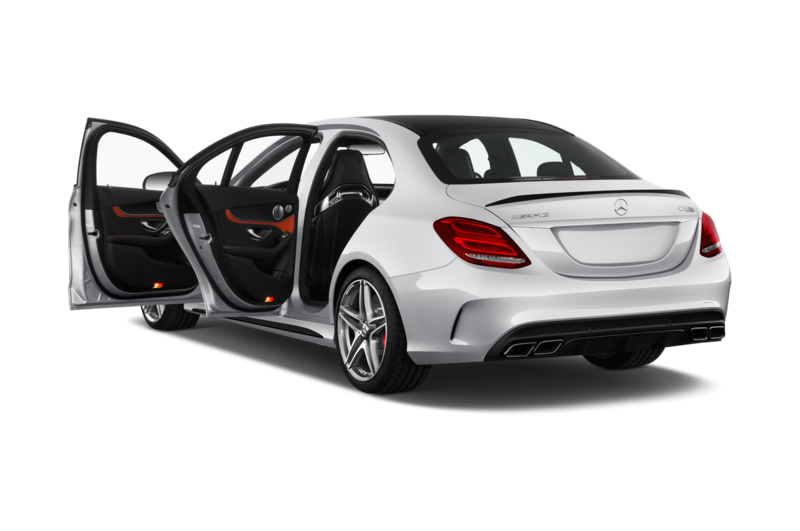 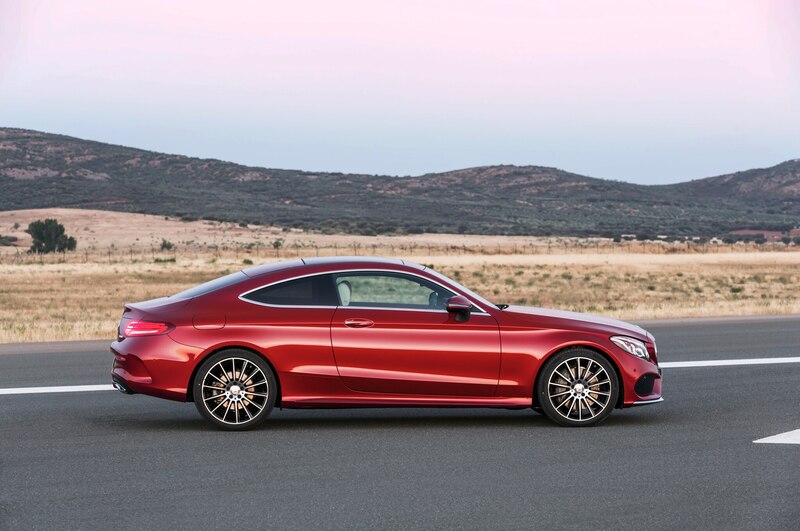 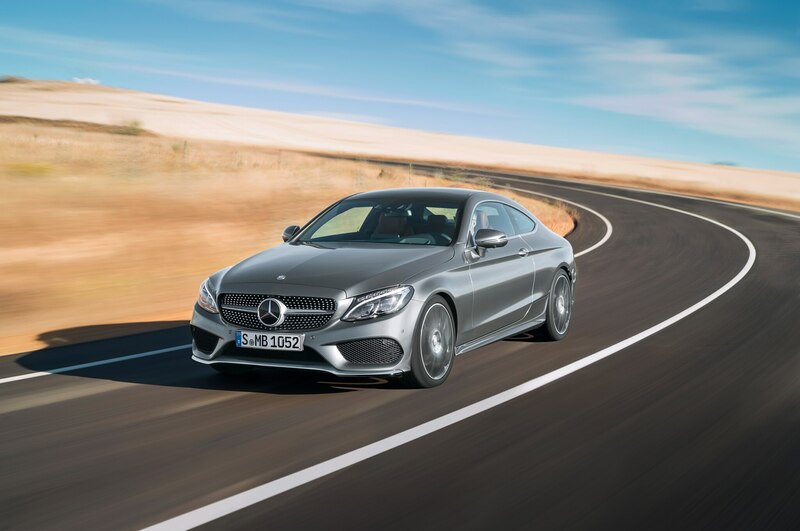 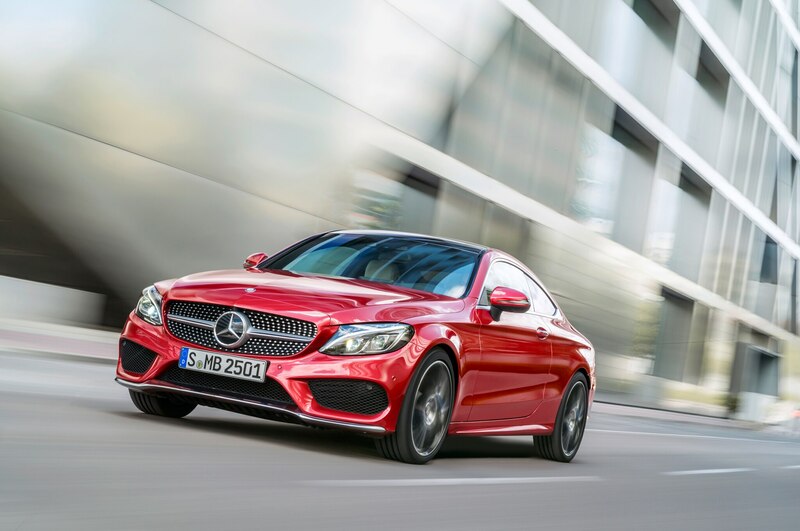 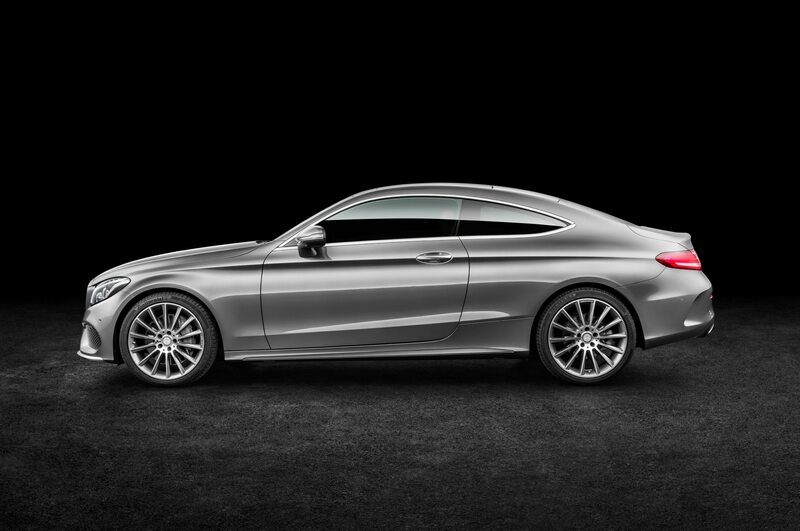 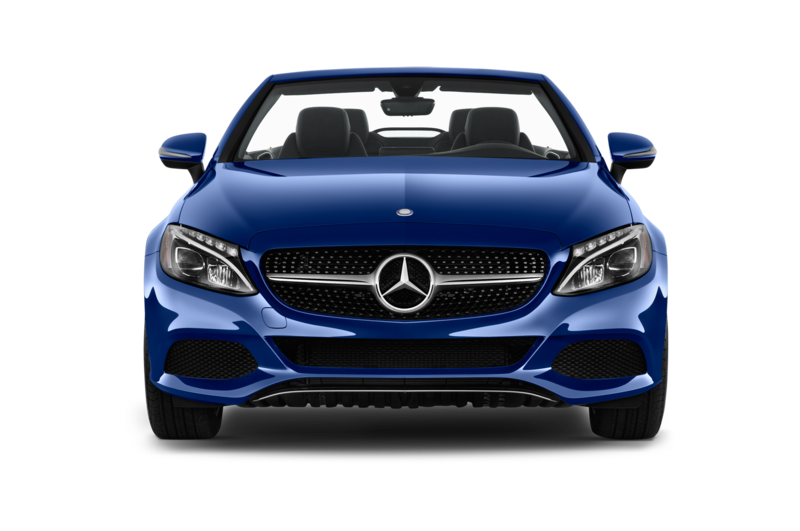 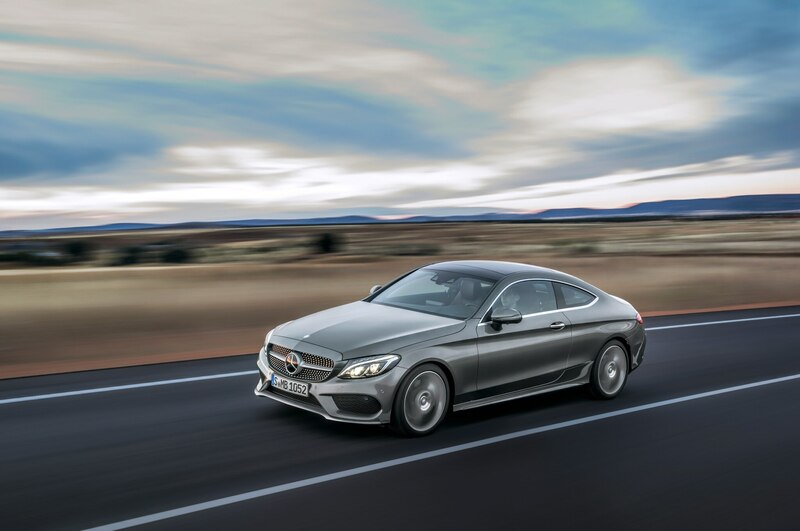 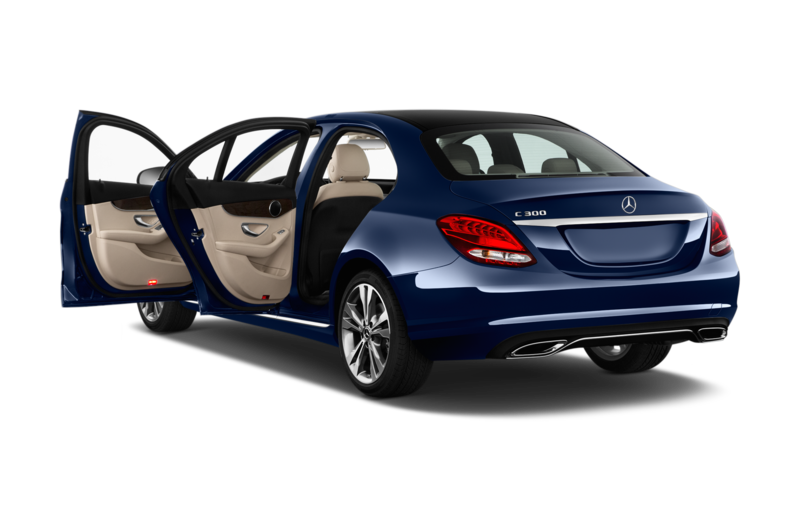 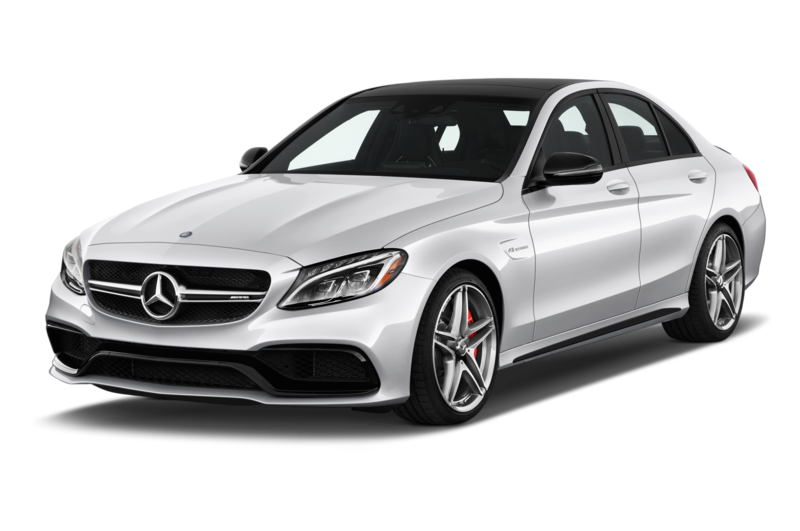 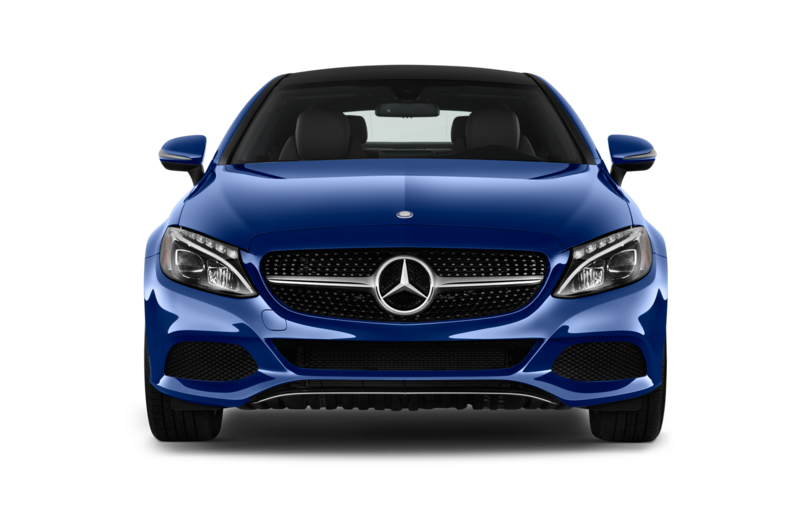 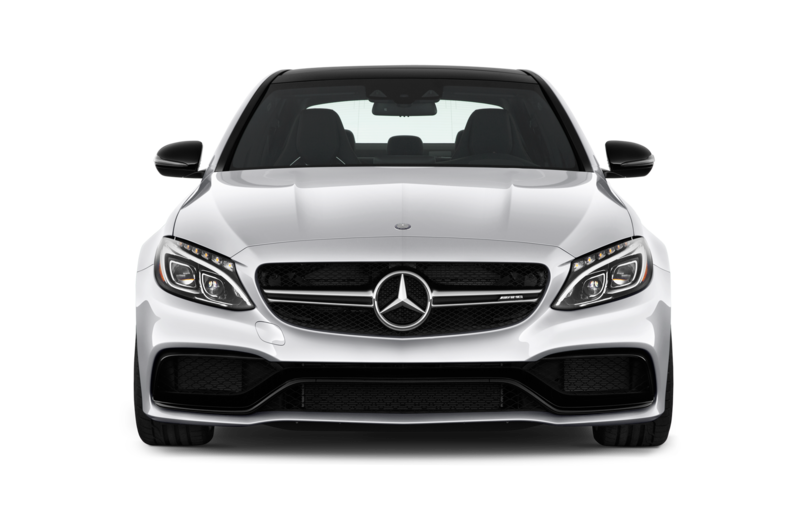 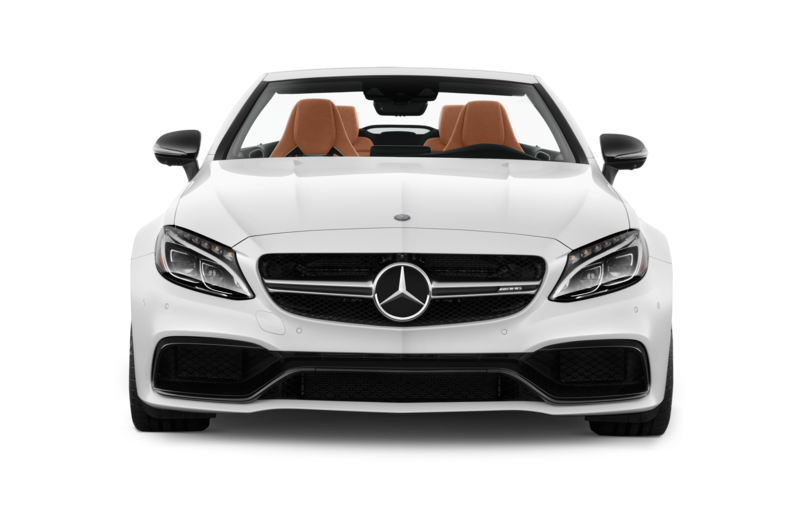 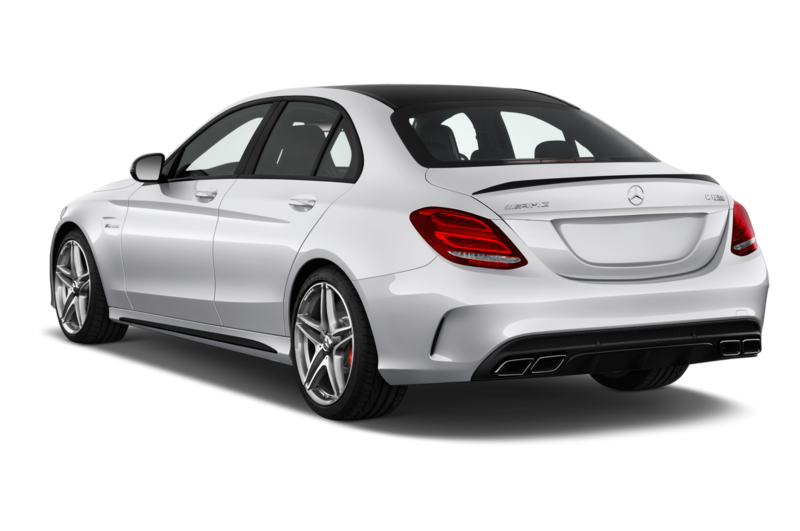 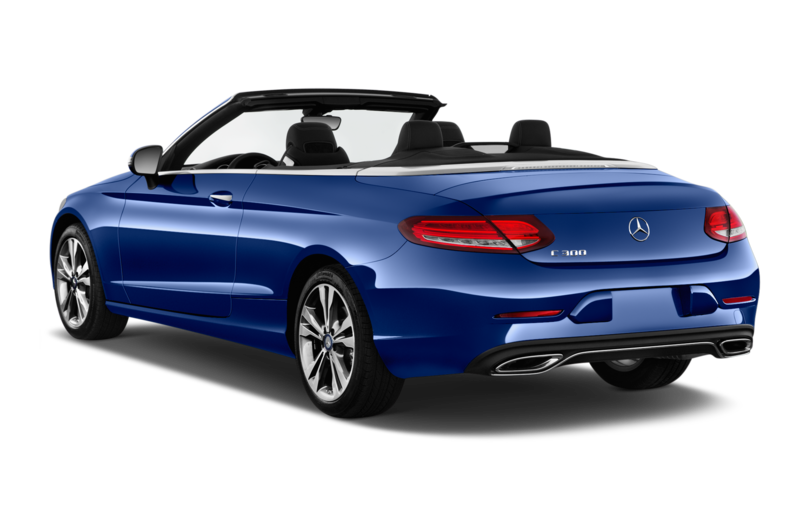 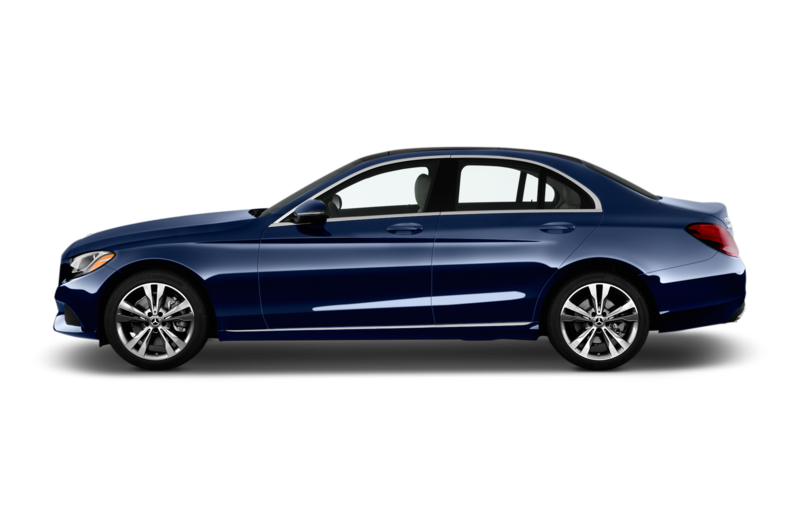 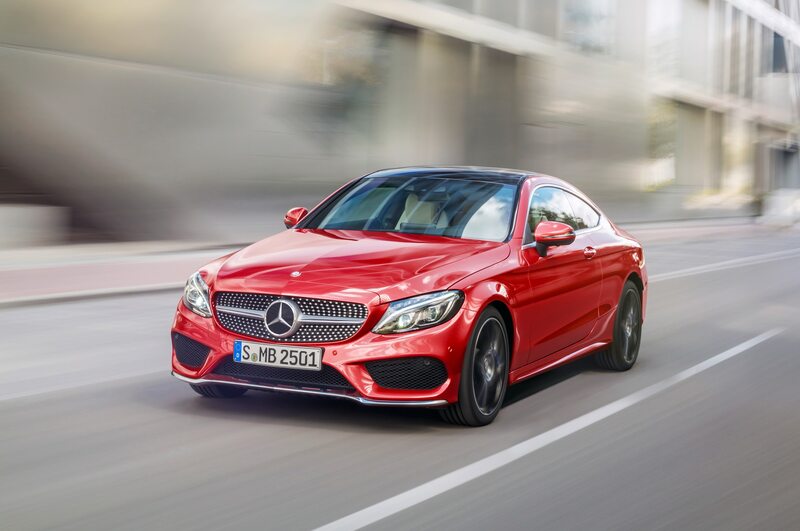 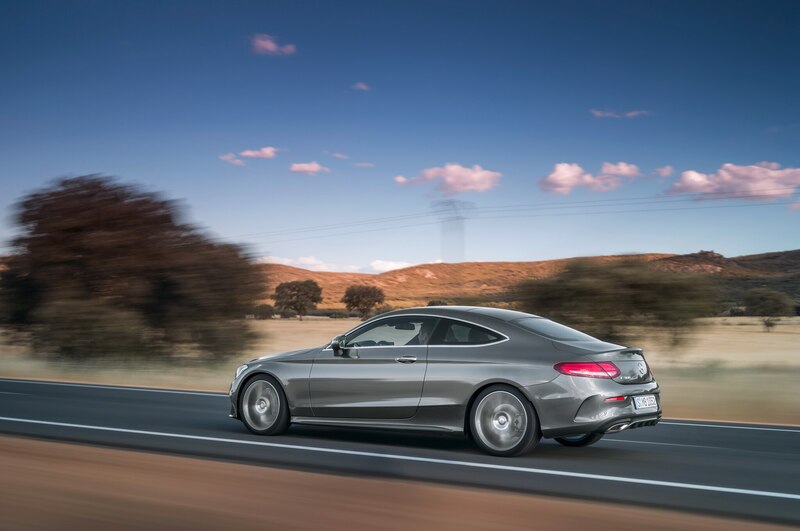 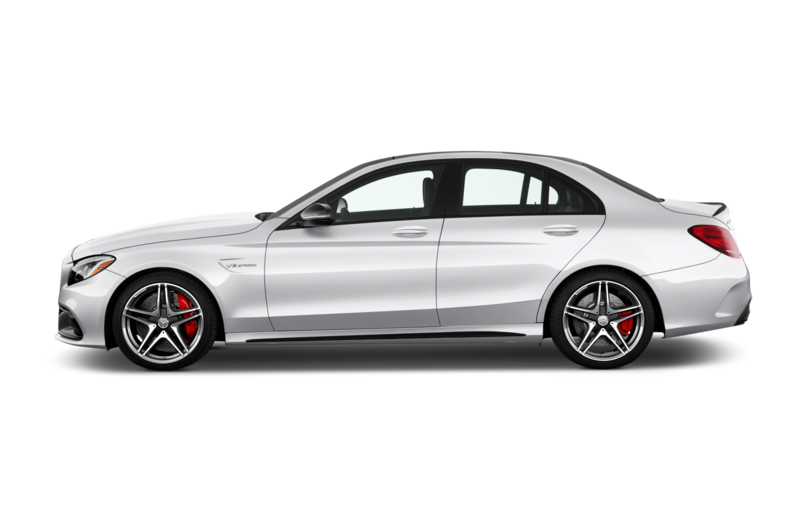 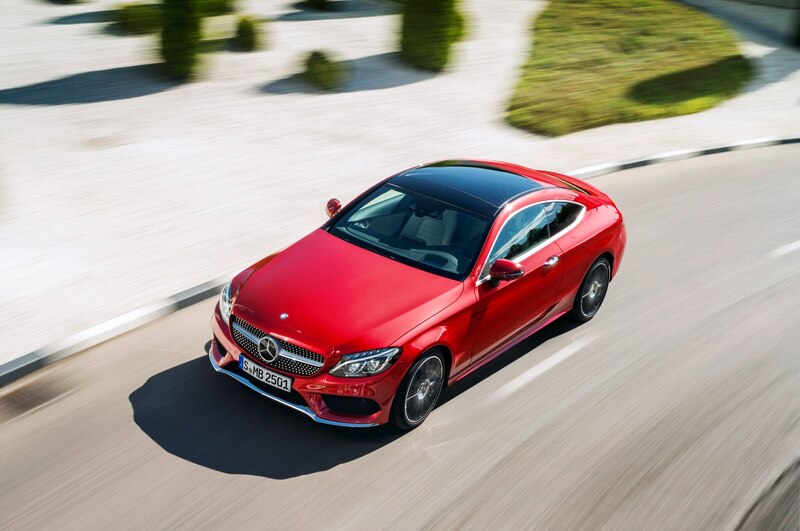 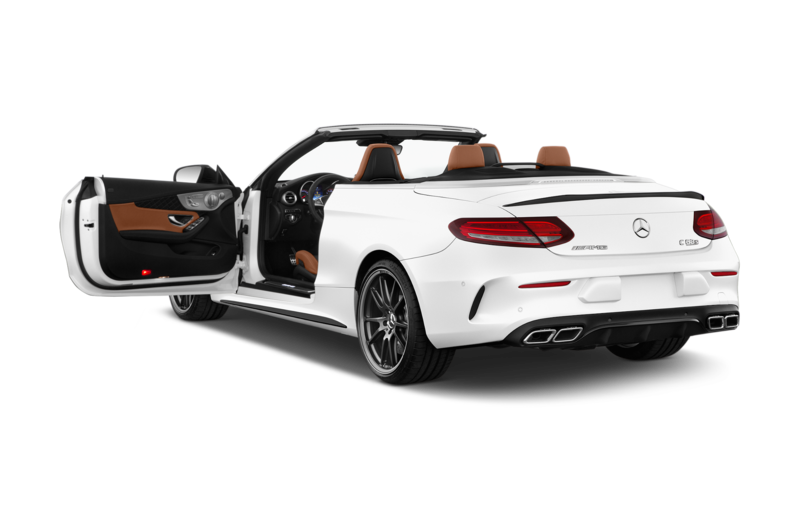 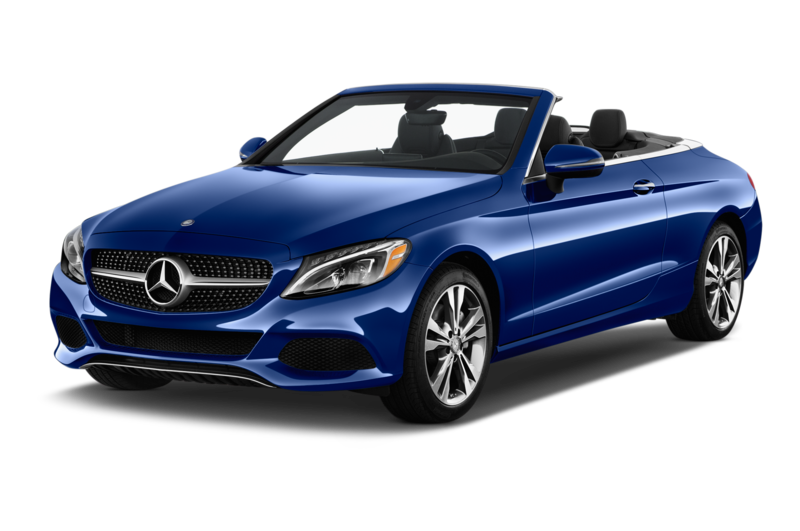 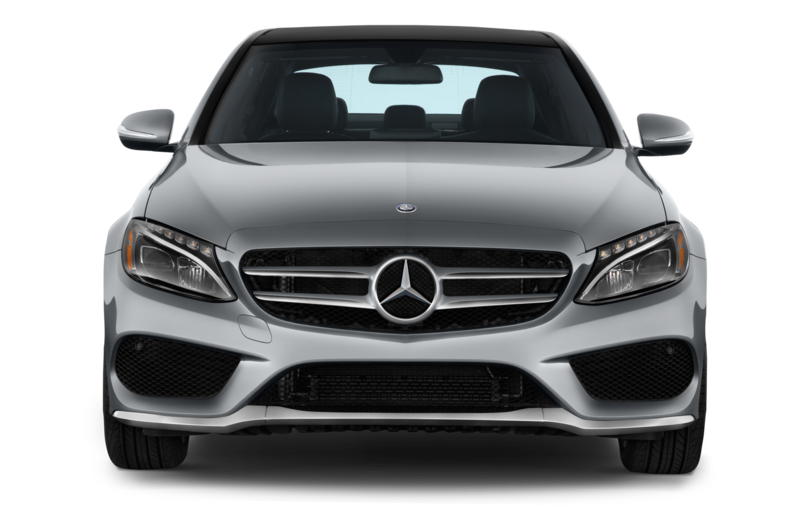 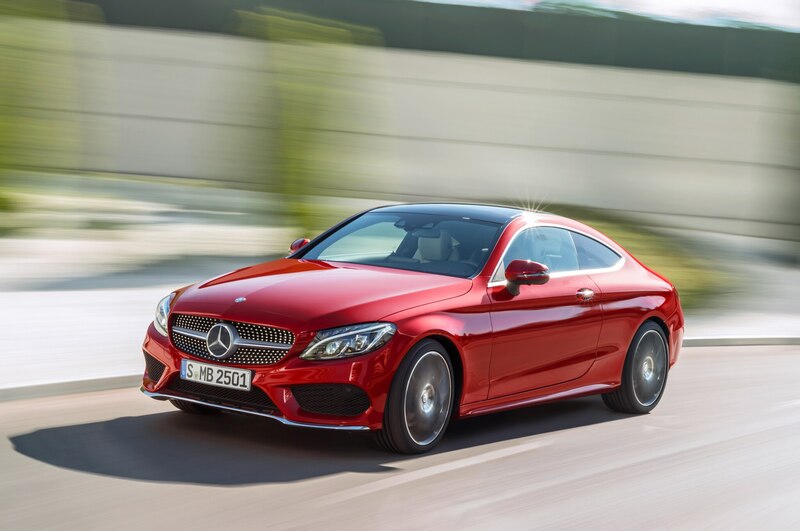 A two-door version of the AUTOMOBILE All-Star-winning 2015 C-Class sedan, the new coupe brings the styling of the Mercedes S-Class Coupe to a smaller, more affordable sports car. 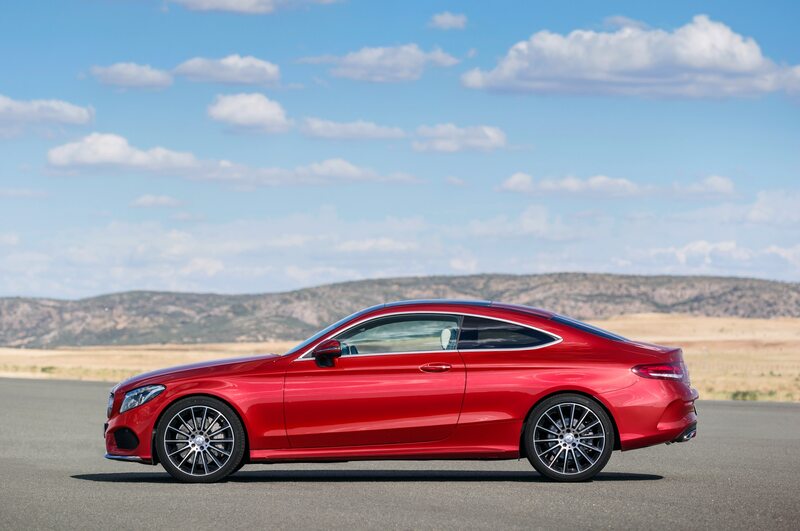 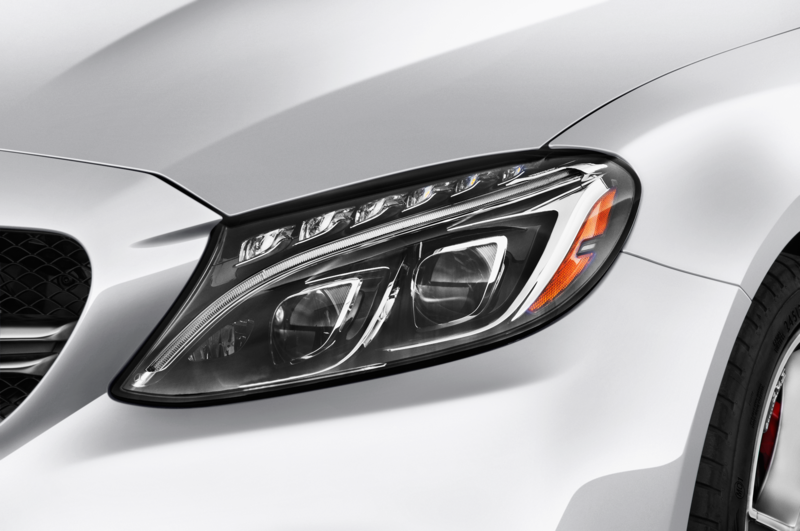 The 2017 Mercedes-Benz C300 Coupe is even more stylish than its four-door version, with its headlights swept up dramatically onto the front fenders, a prominent crease running through the door handles, and a second character line that rise from the bottom of the car’s bodysides. 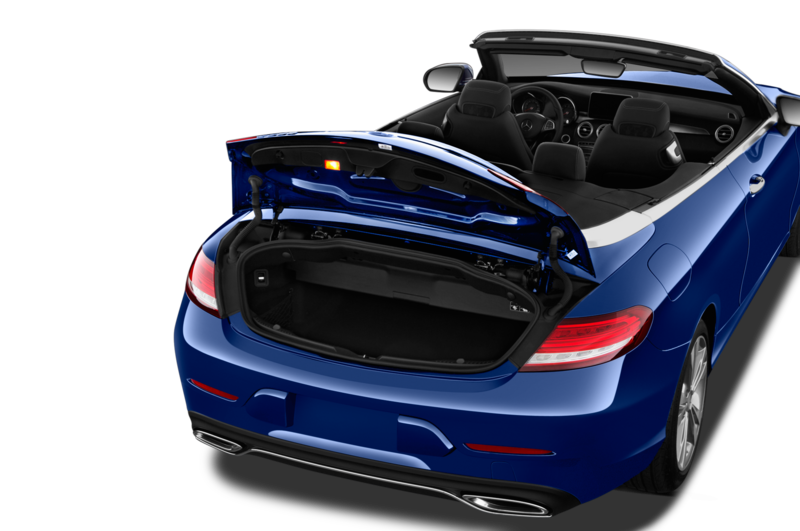 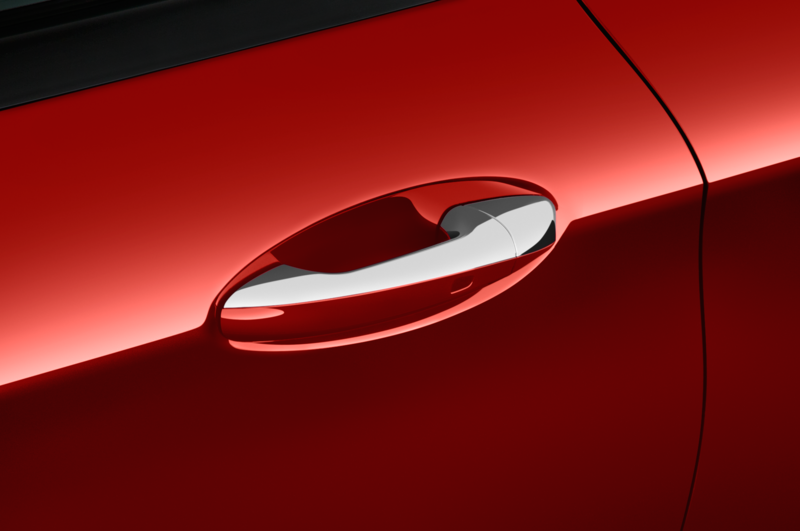 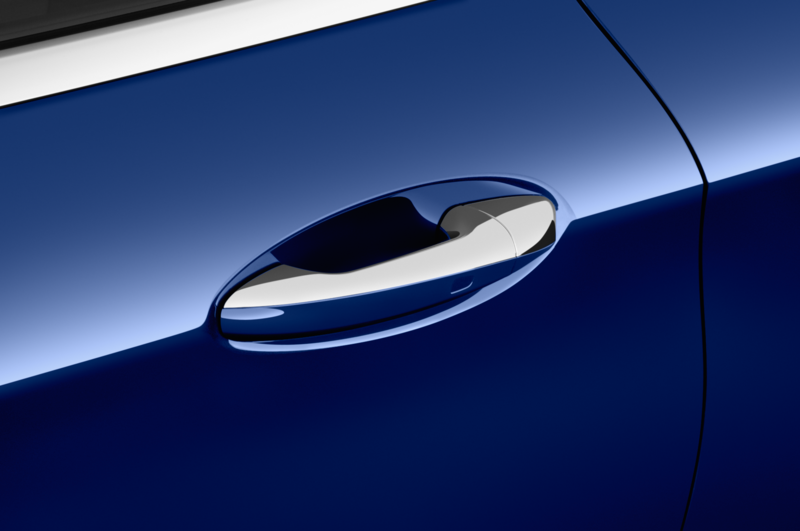 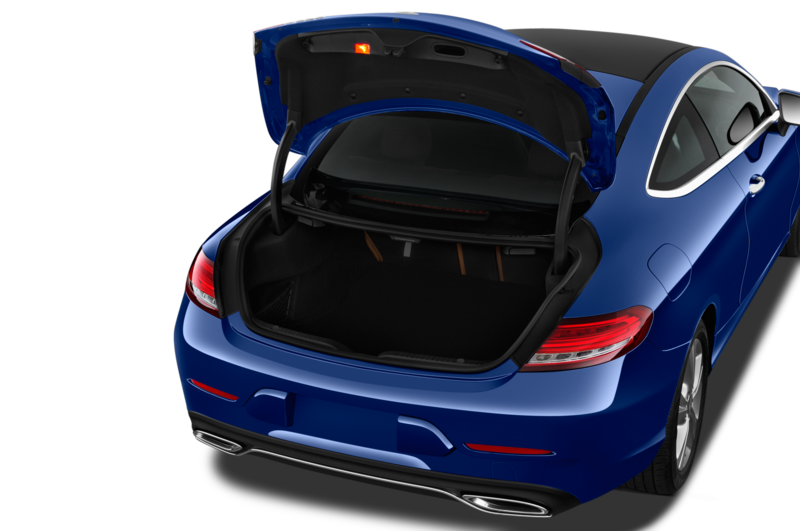 The rounded roof sweeps down gracefully into the trunklid, which has a built-in lip spoiler. 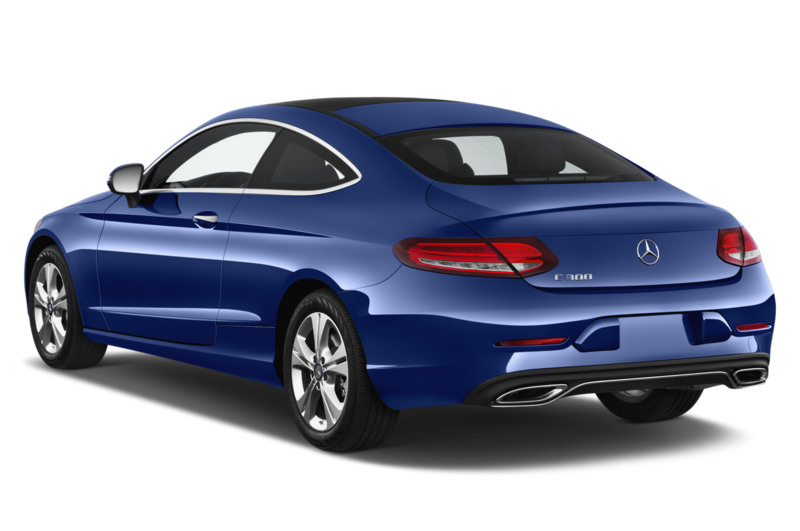 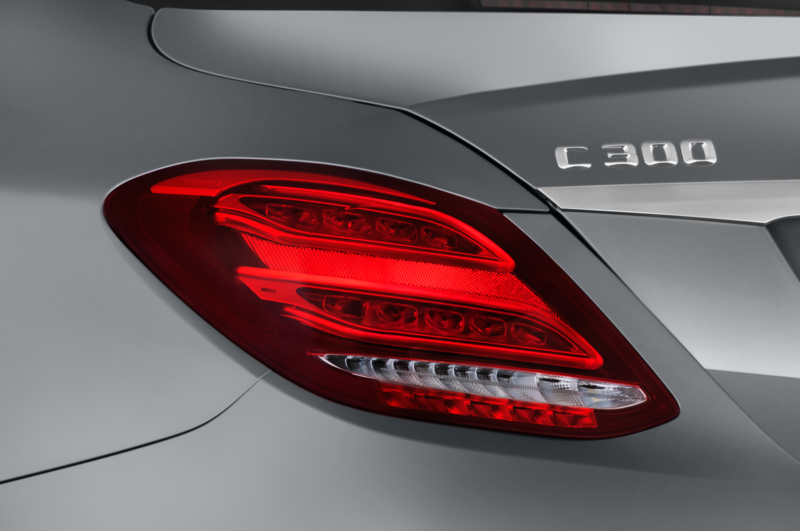 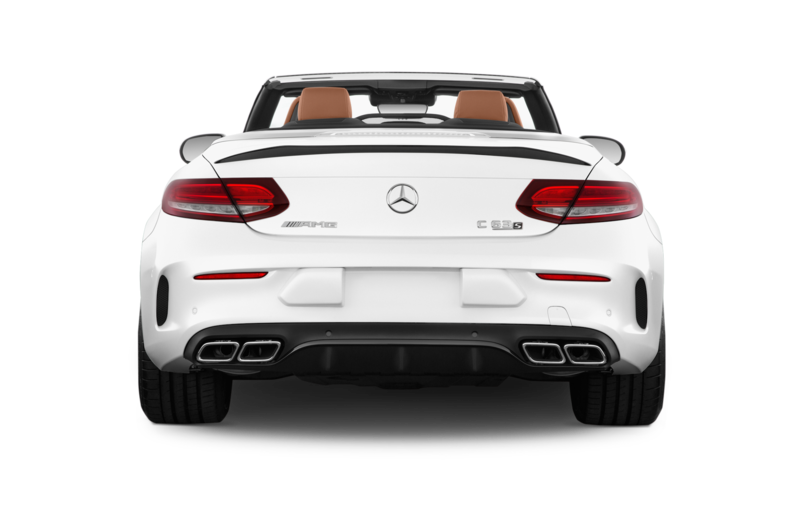 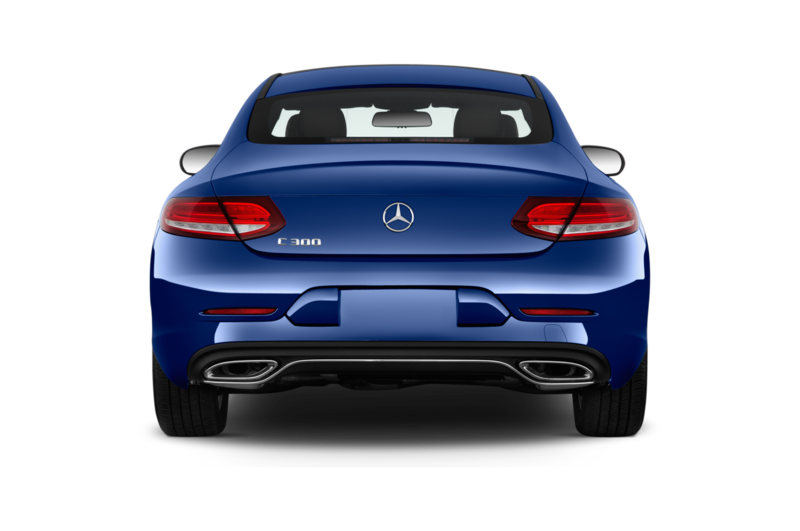 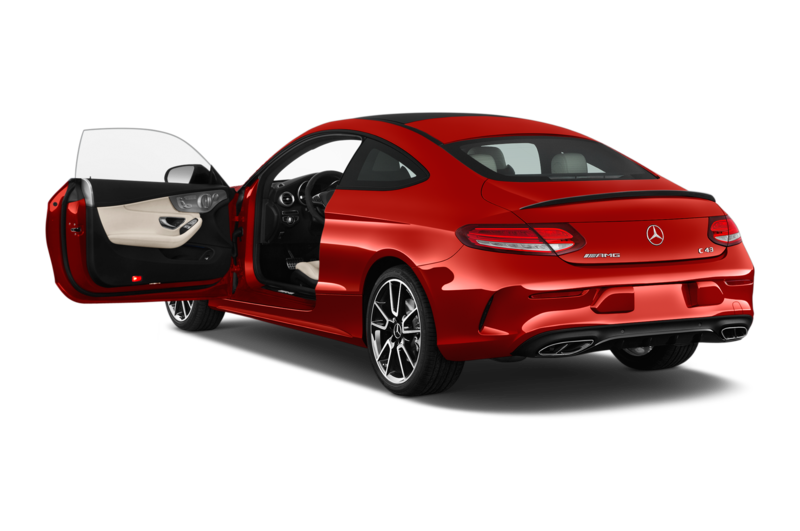 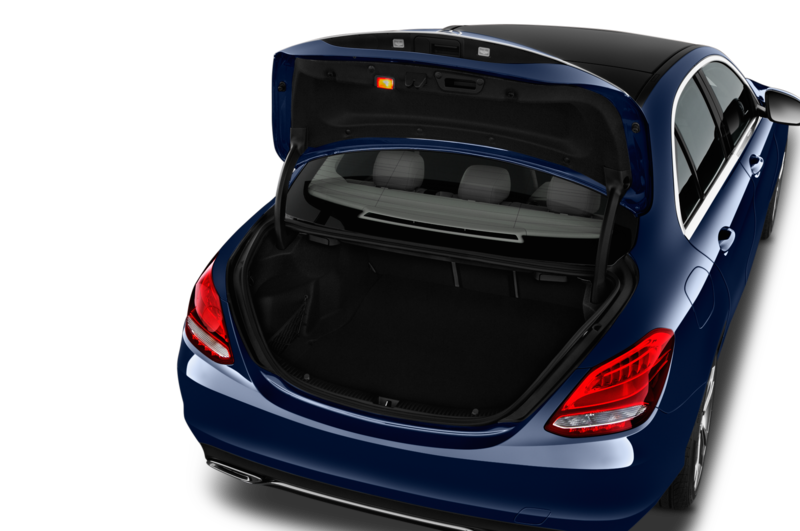 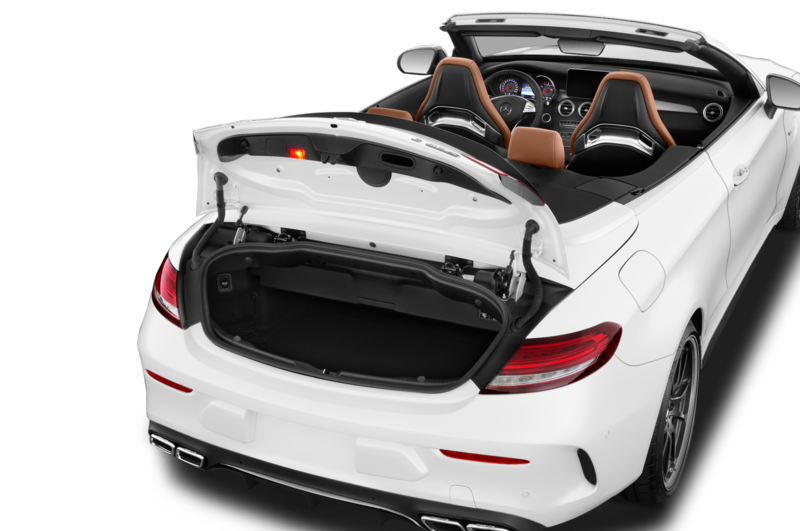 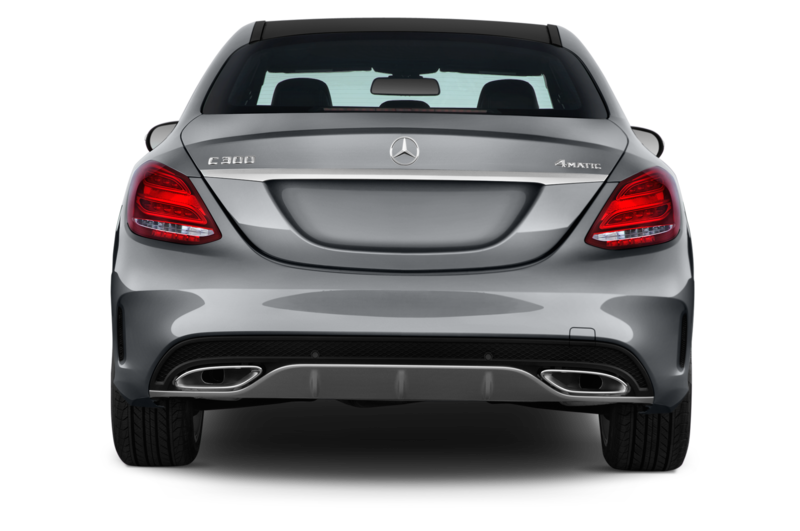 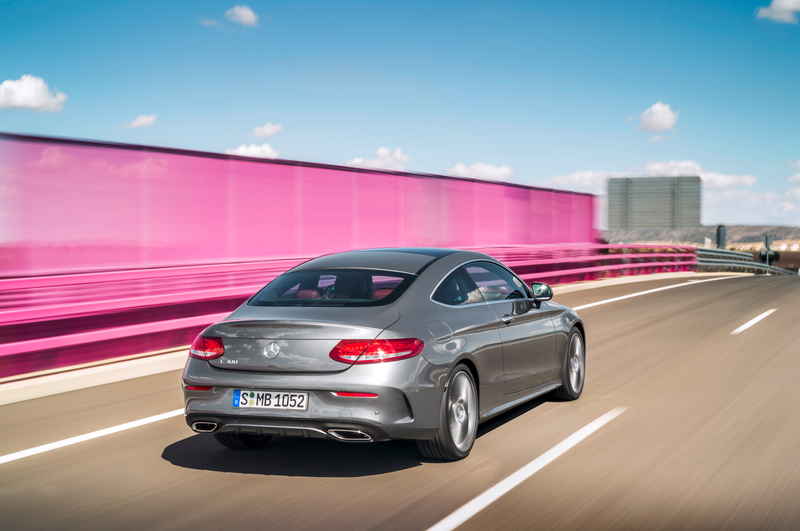 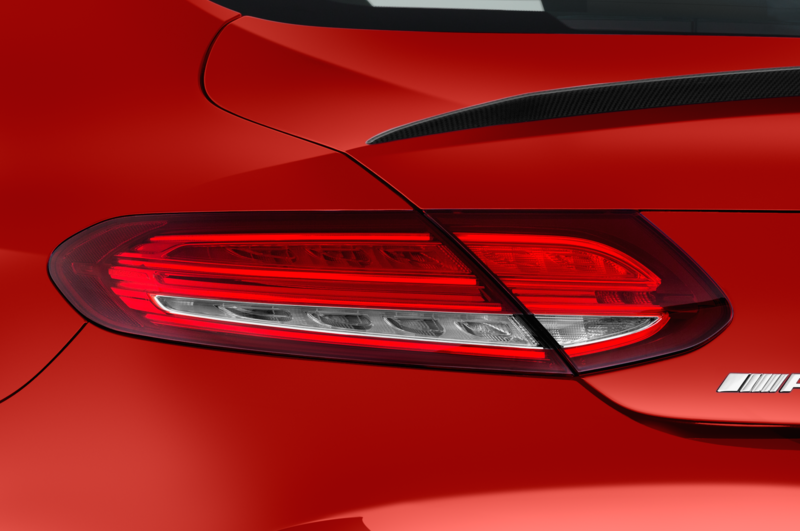 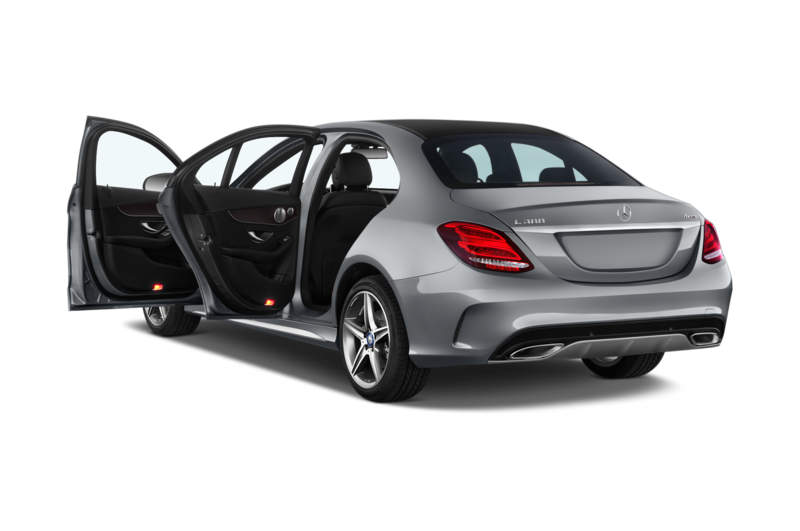 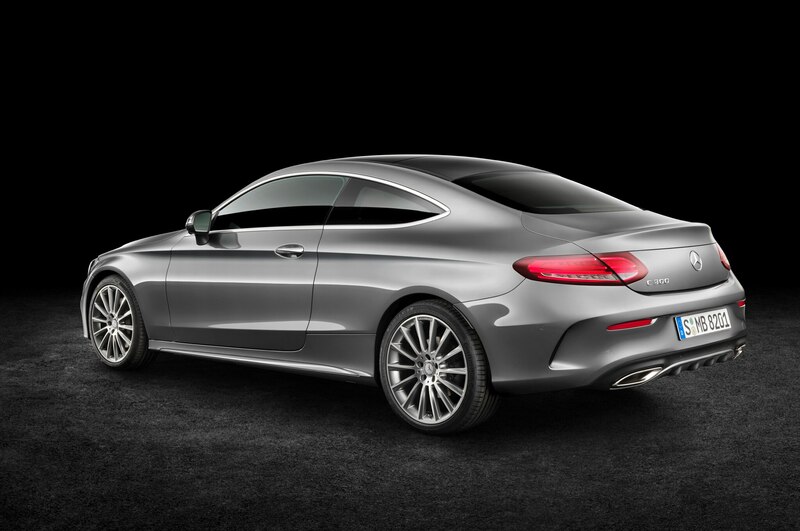 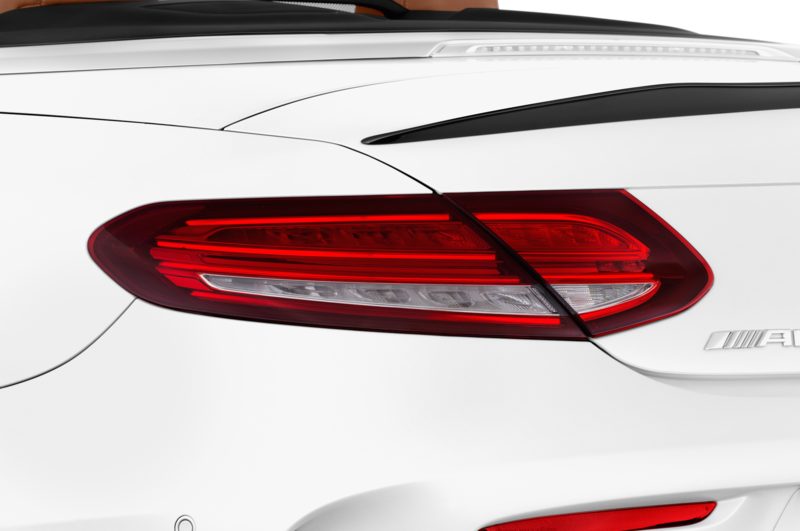 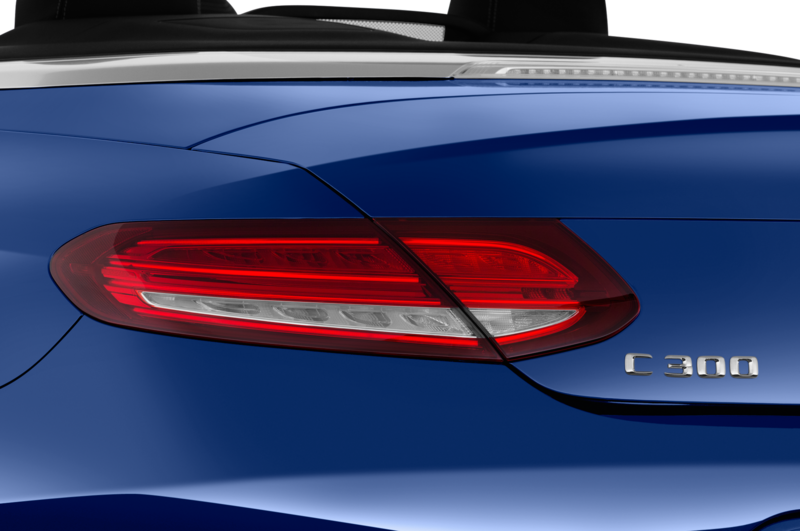 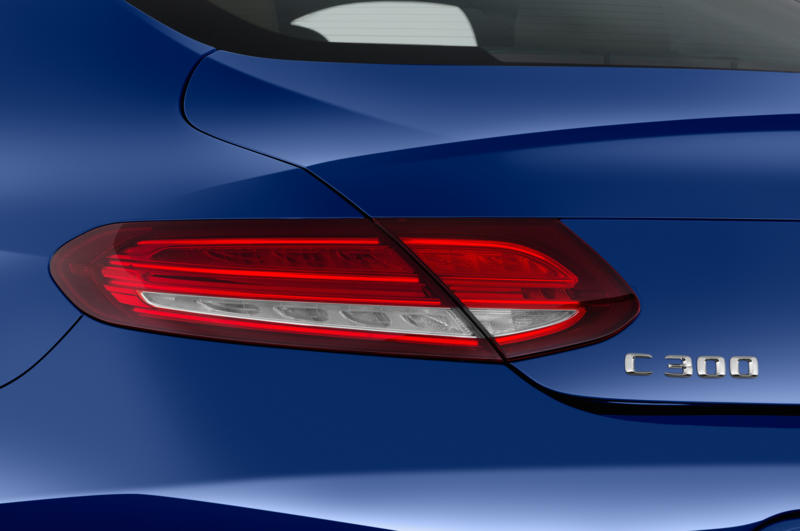 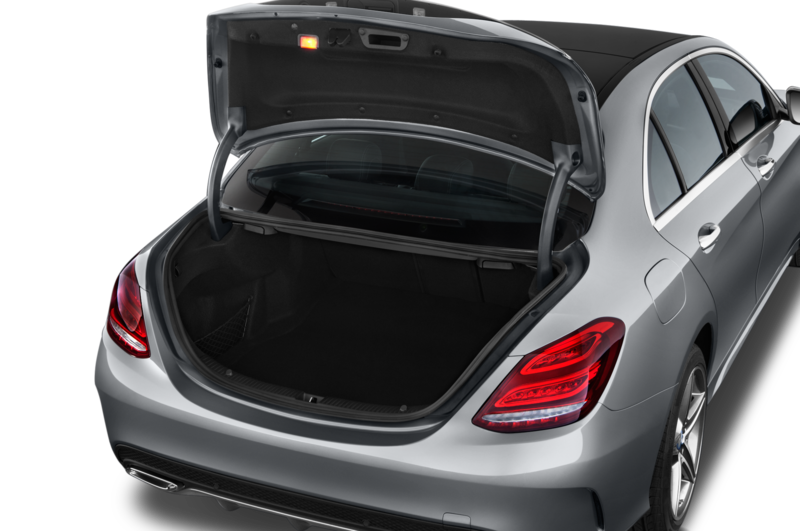 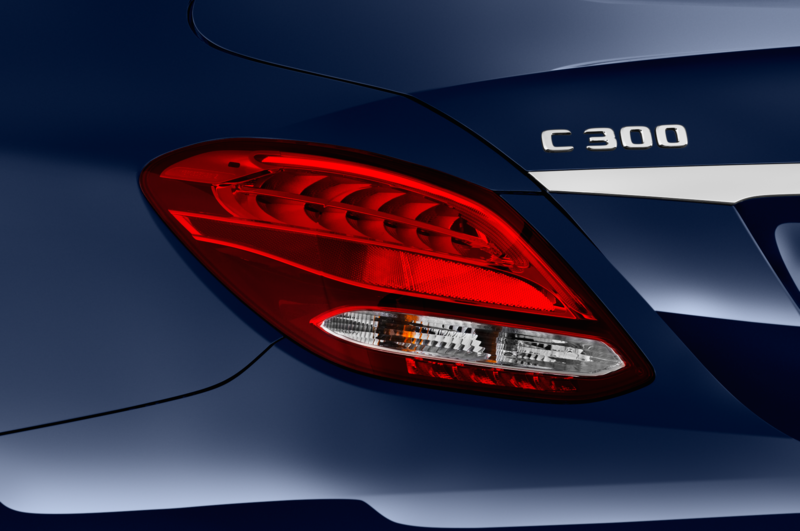 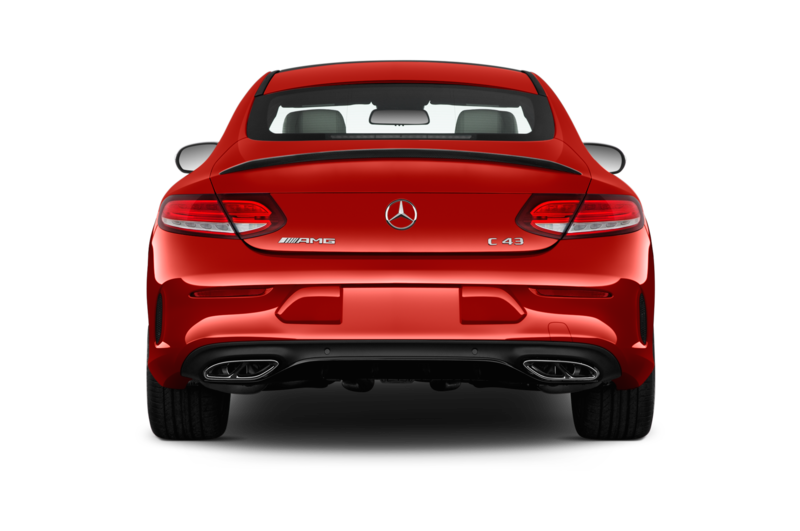 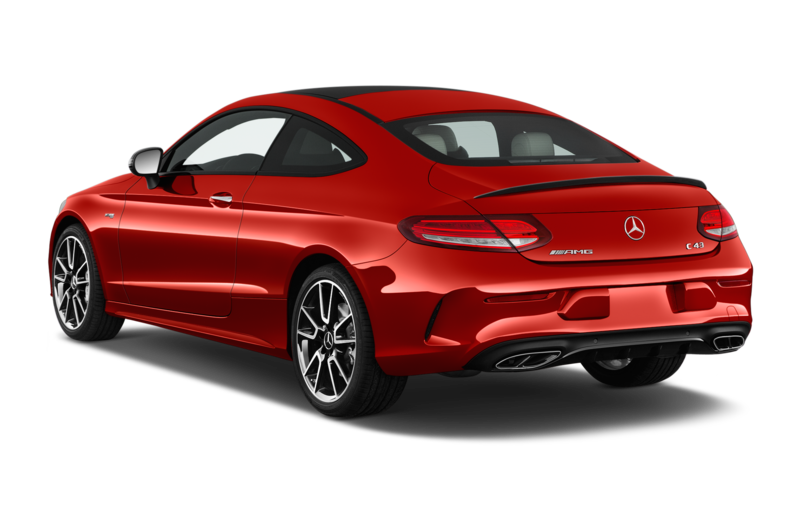 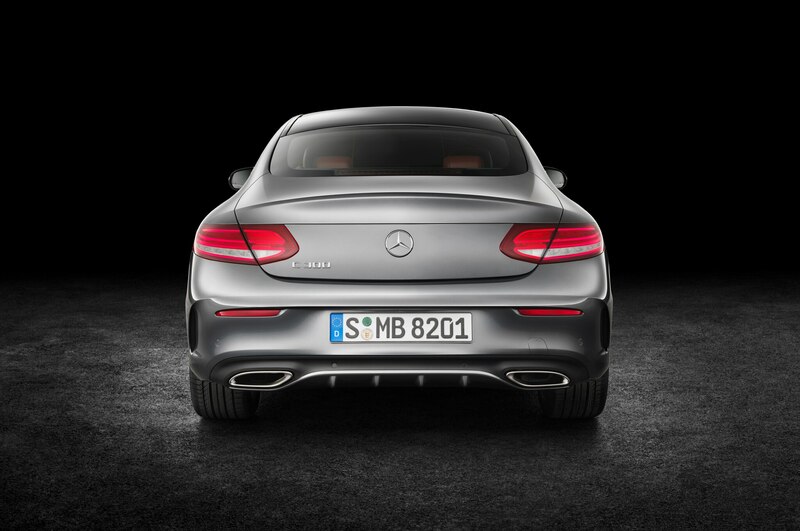 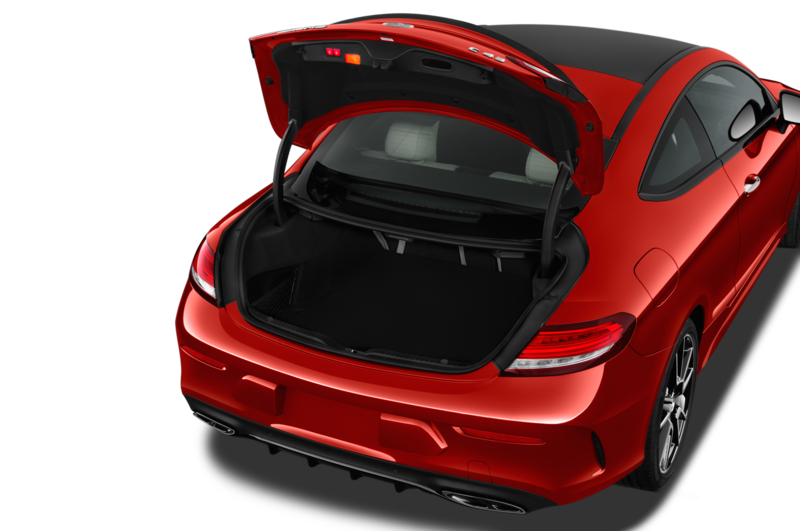 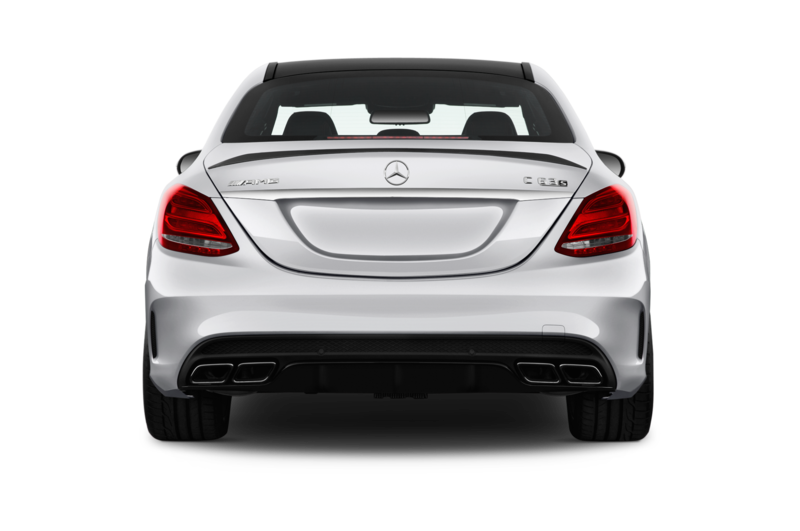 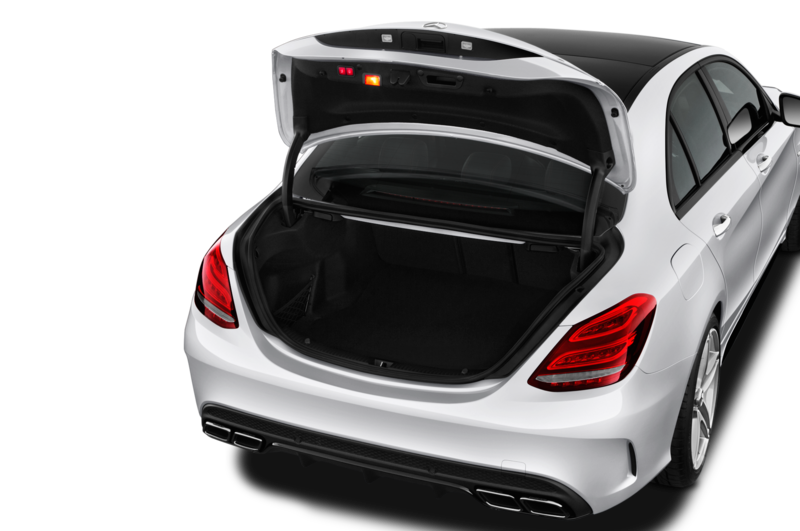 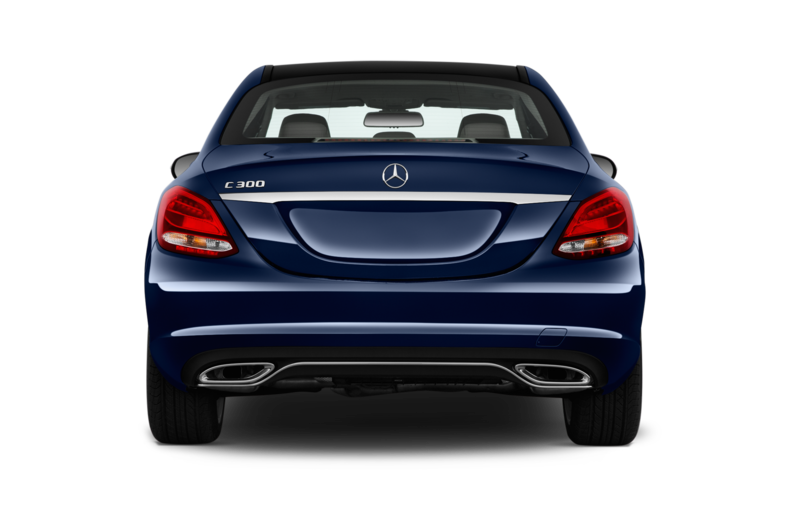 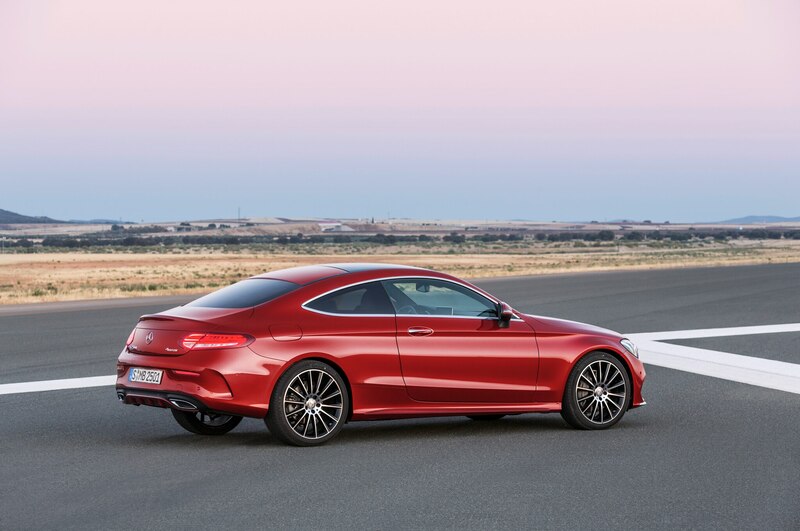 With large taillights wrapping onto the car’s generous rear haunches, and a flat, rounded tail, the rear of the C-Class Coupe draws even more cues from the AUTOMOBILE Design of the Year-winning S-Class Coupe. 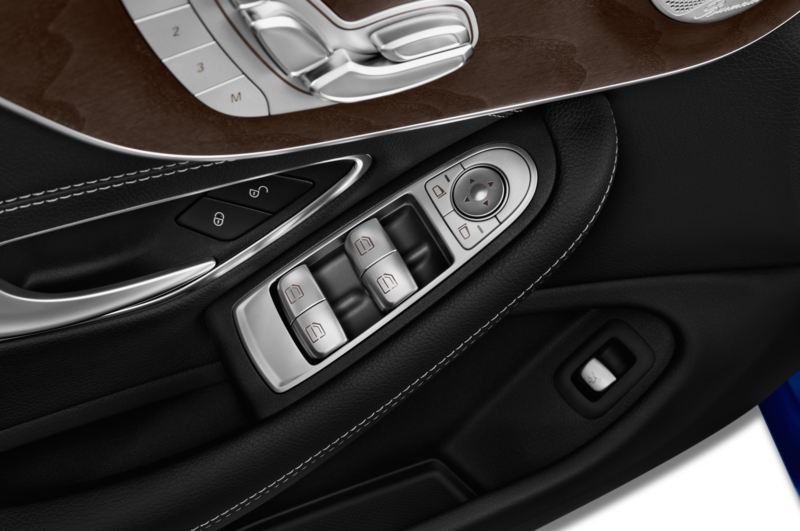 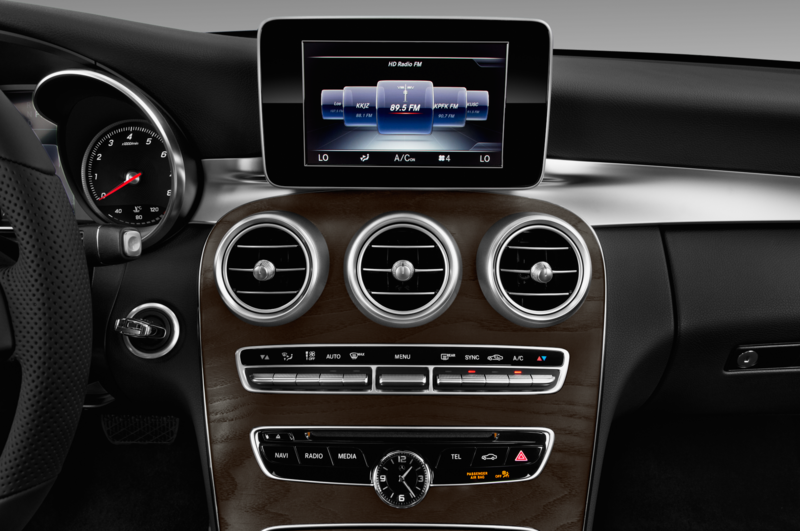 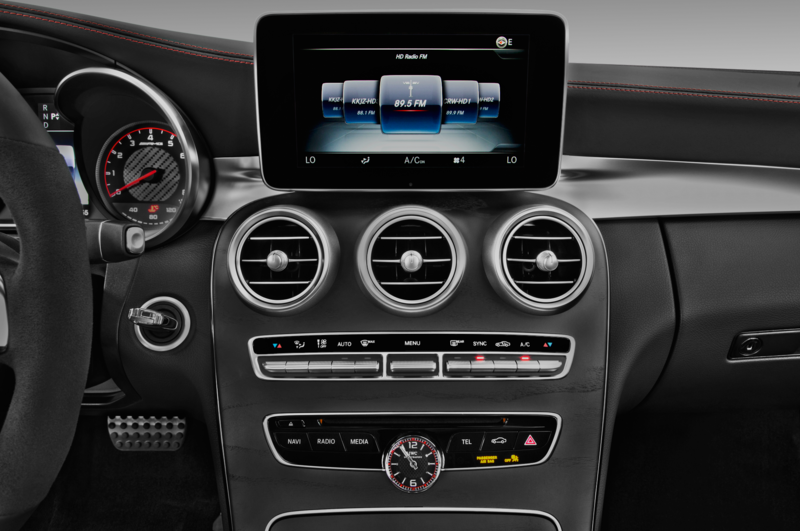 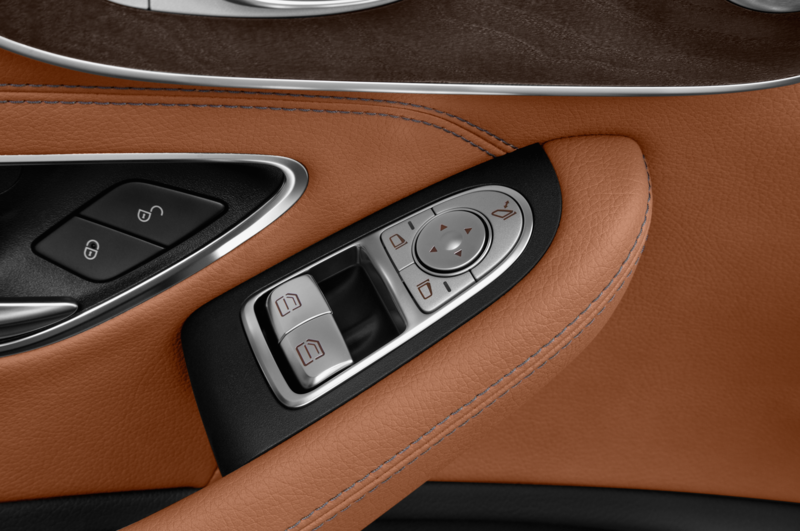 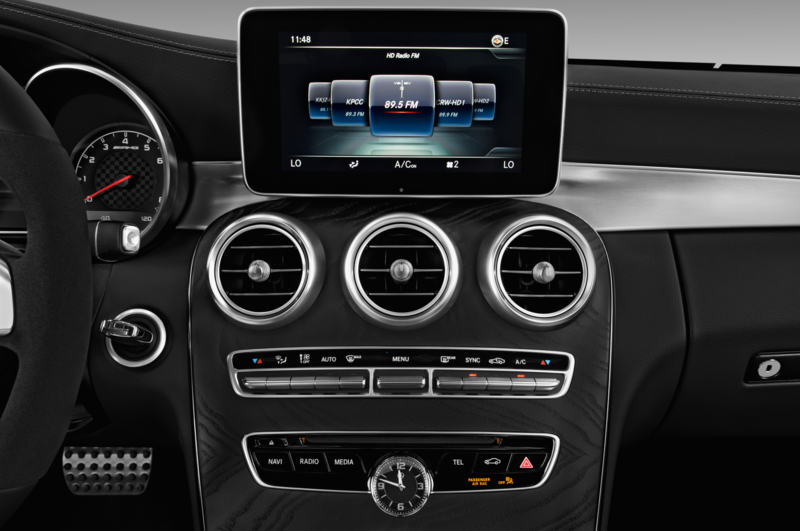 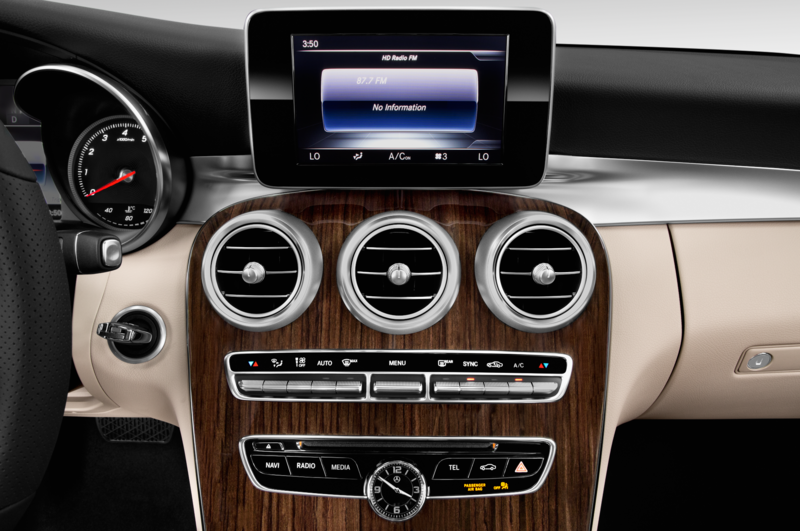 The cabin is similar to the rest of the Mercedes lineup, with a three-spoke steering wheel sitting in front of a pair of analog gauges and a color LCD trip computer. 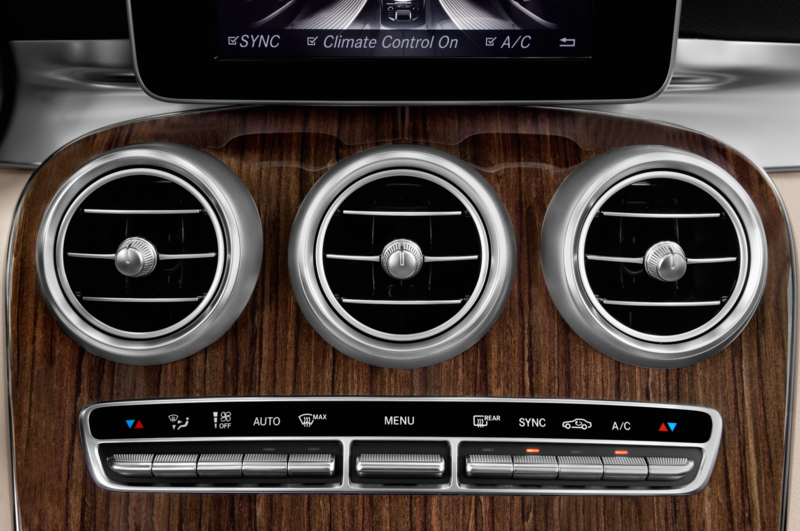 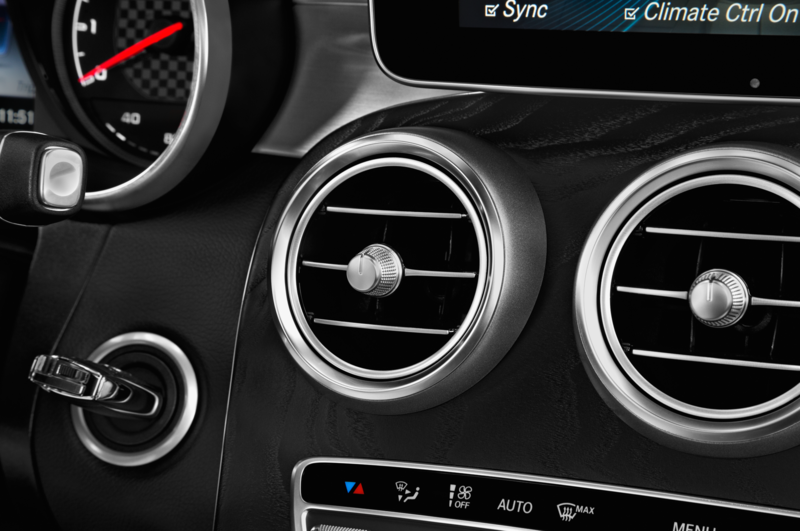 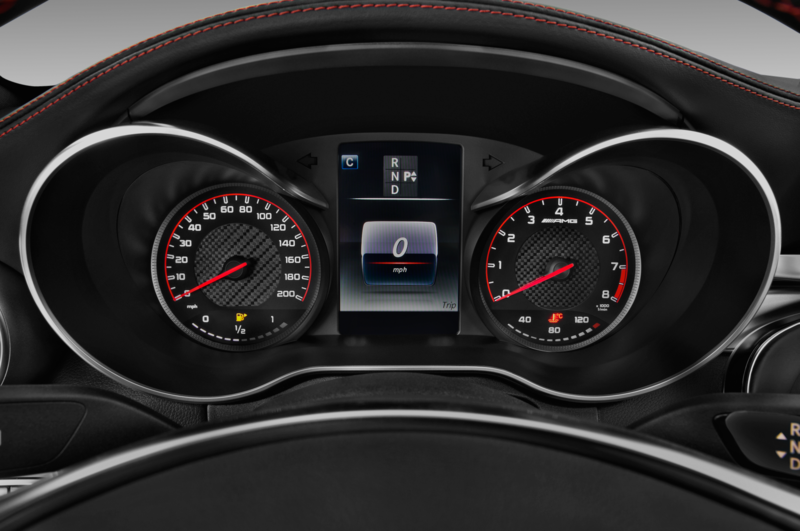 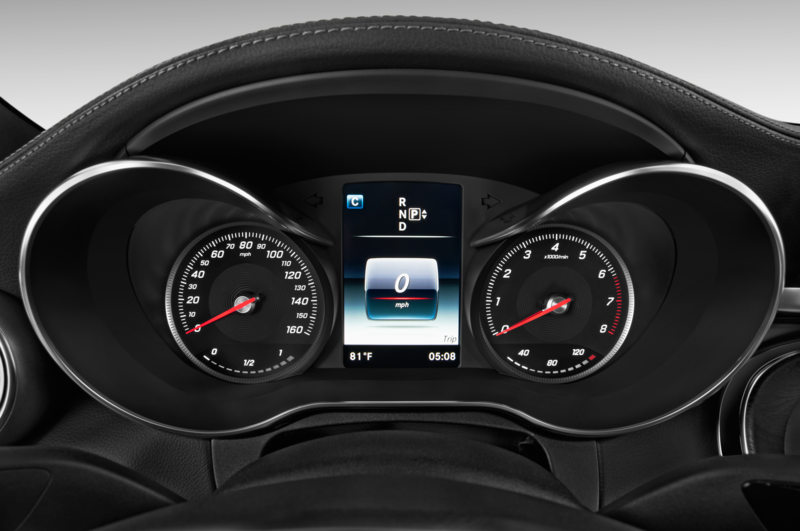 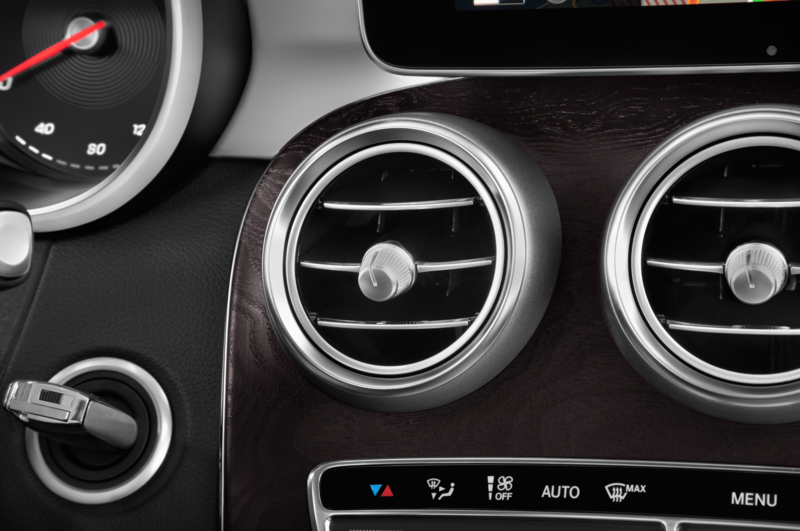 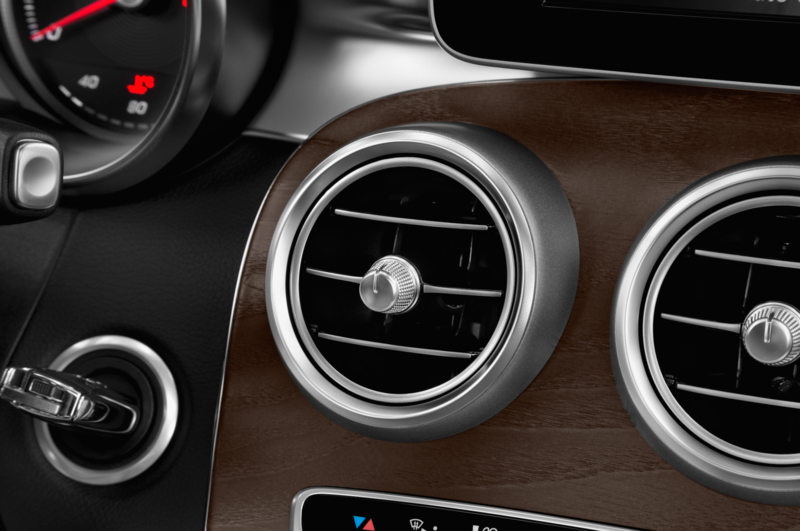 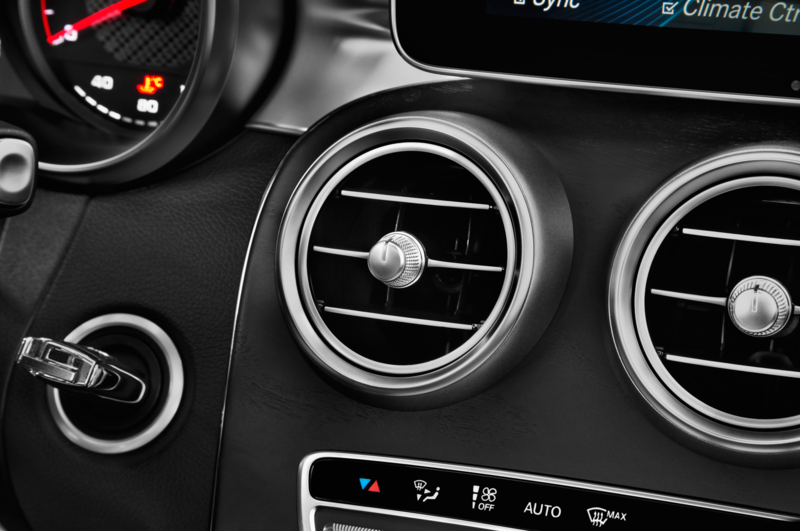 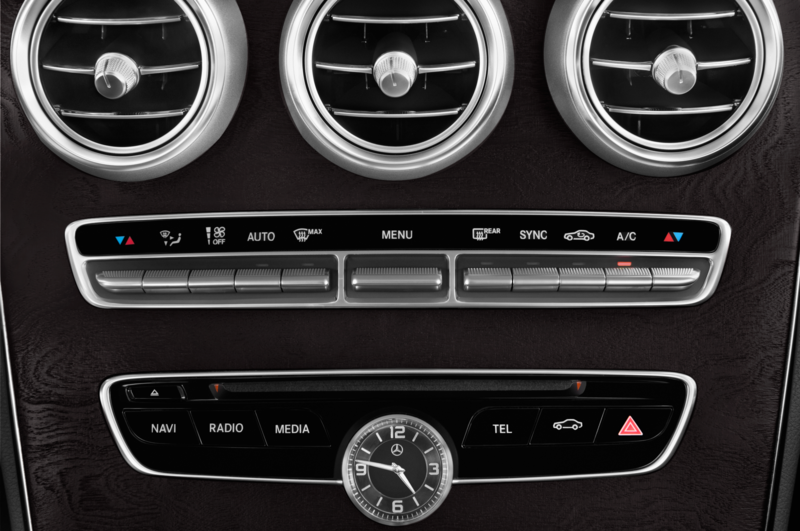 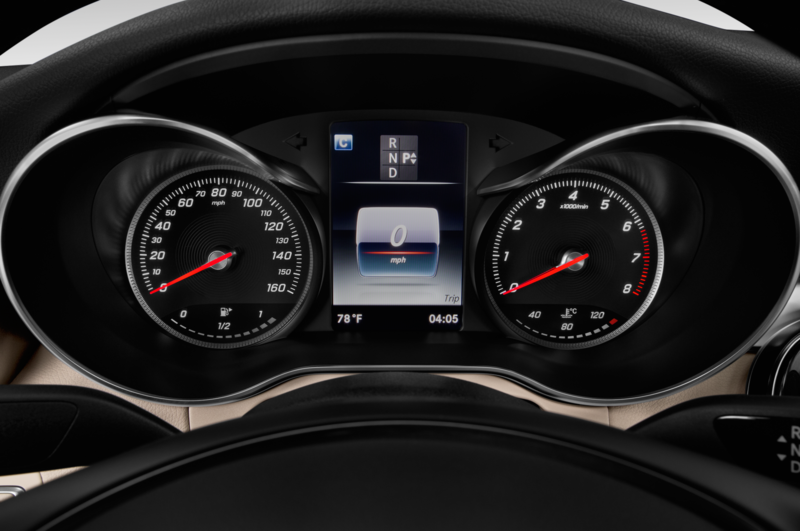 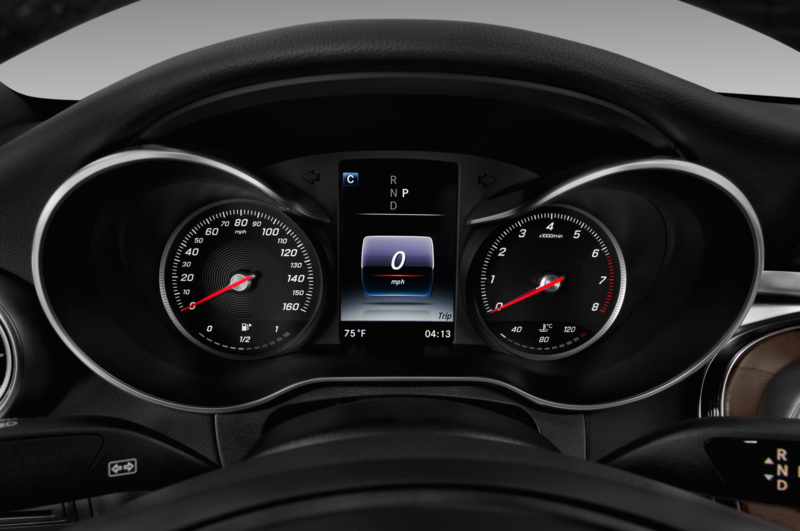 A large screen for the Comand infotainment system sits atop the dashboard, below which sprout three chrome air vents and a row of climate controls. 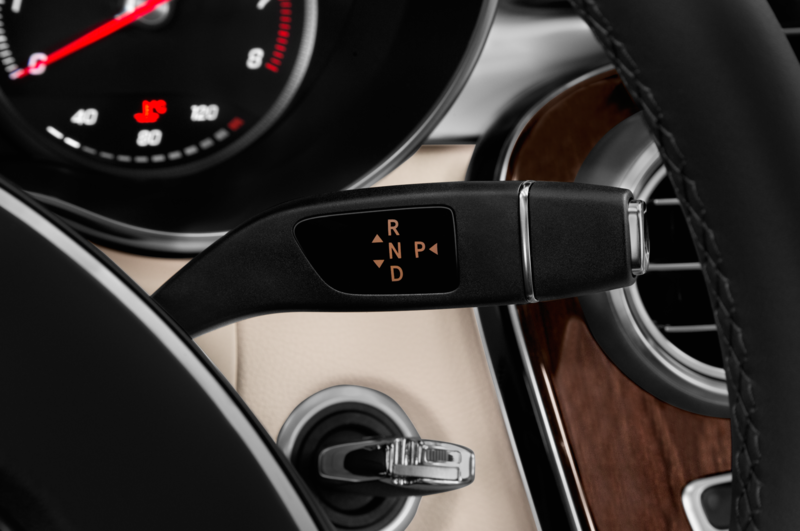 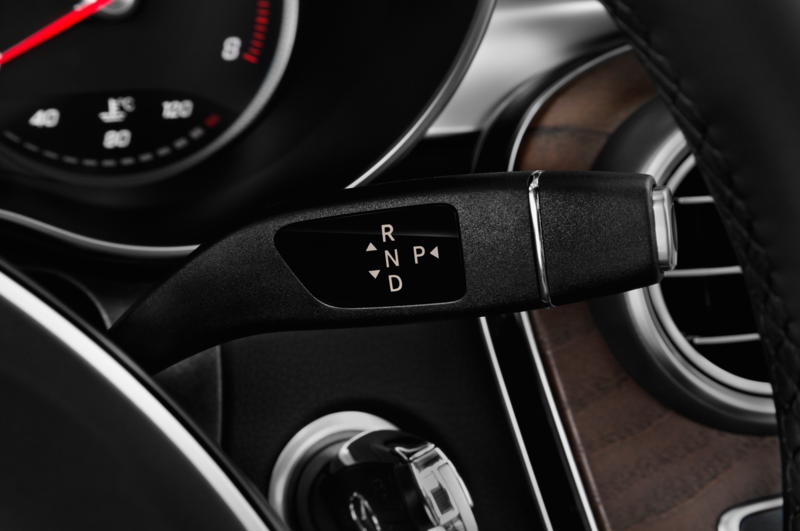 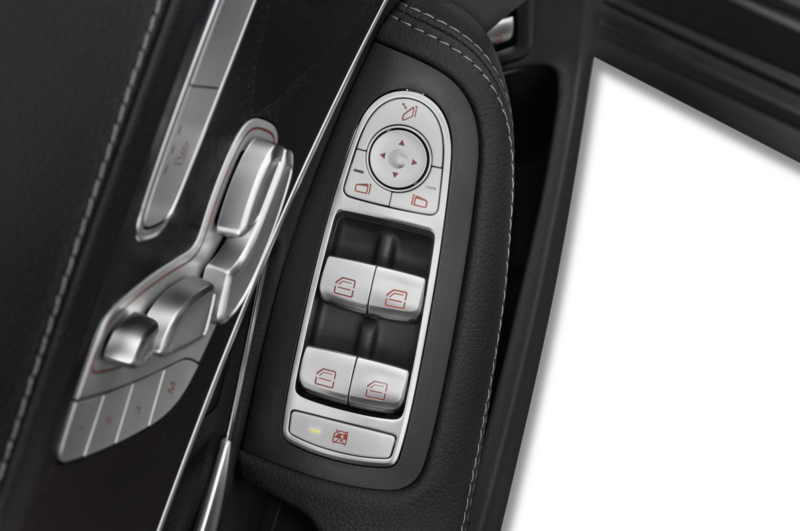 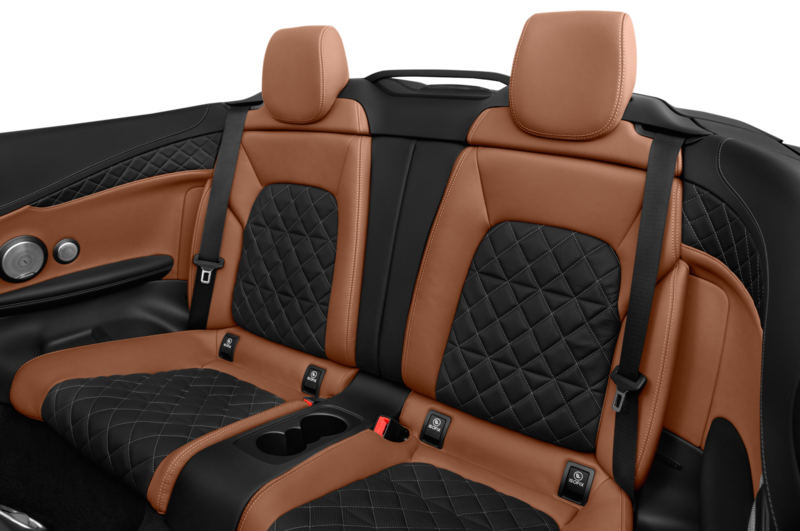 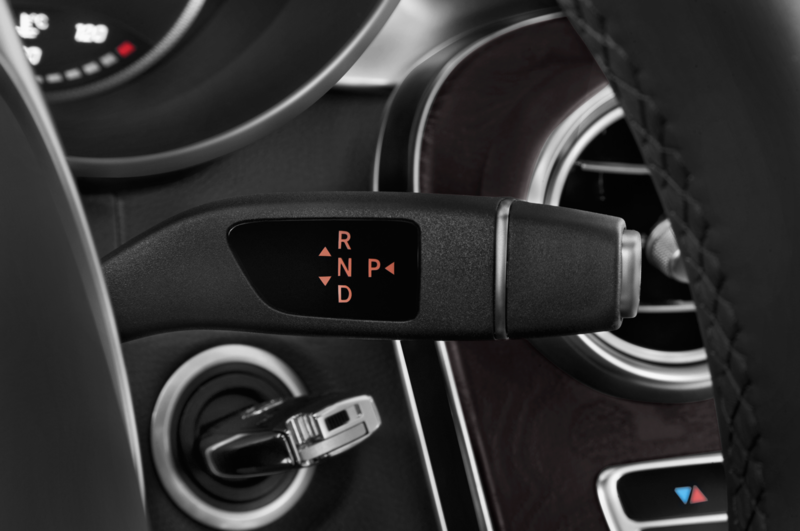 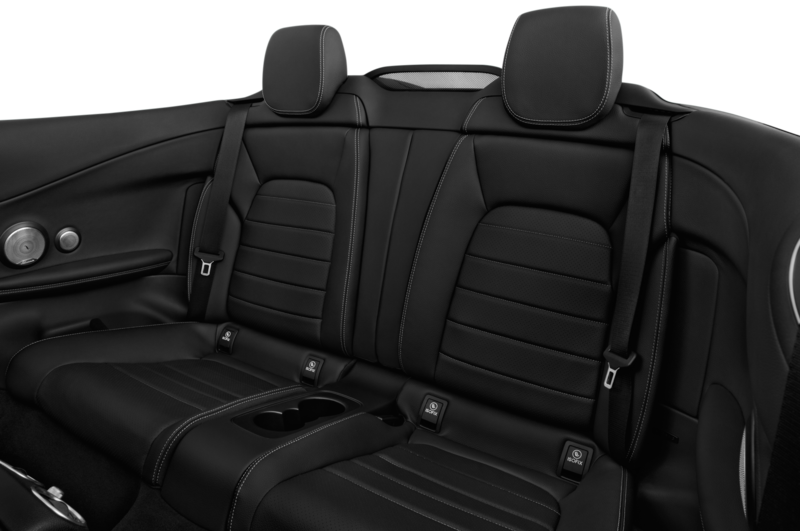 The center stack cascades down into the console, where drivers find the scroll wheel and touchpad for the Comand system, as well as audio and driving-mode controls. 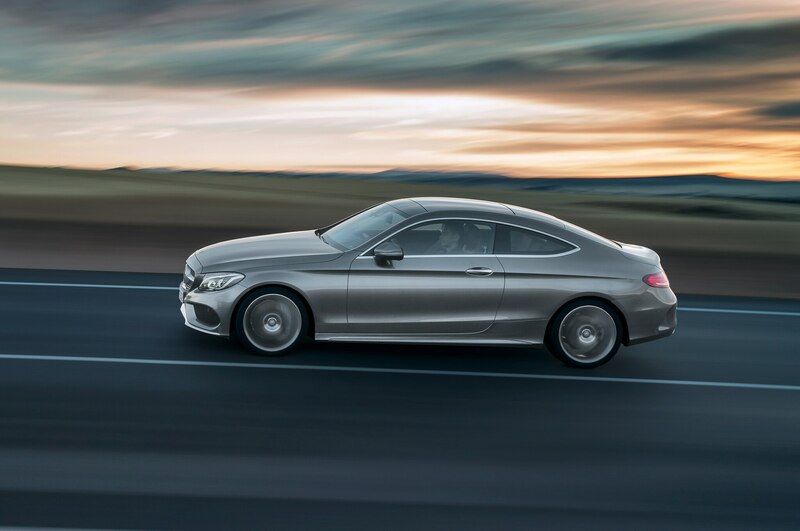 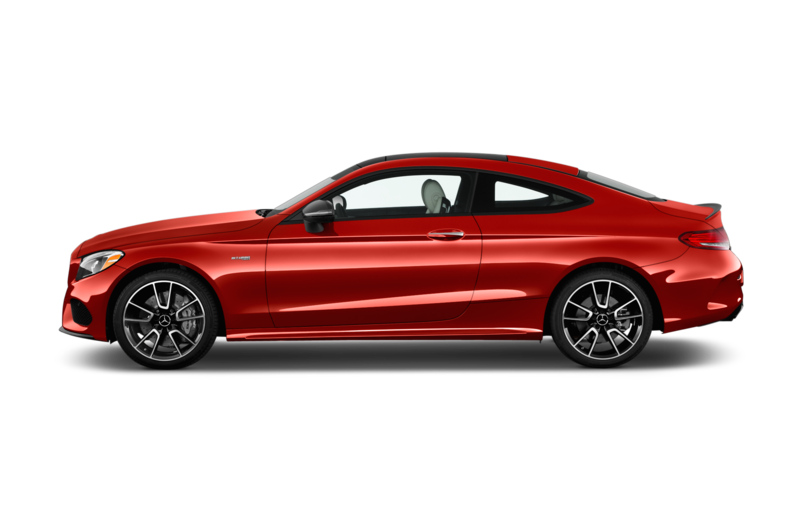 Compared to the sedan, the 2017 Mercedes-Benz C300 Coupe rides 0.6 inch lower on a standard sport suspension, with Mercedes’ air suspension optional. 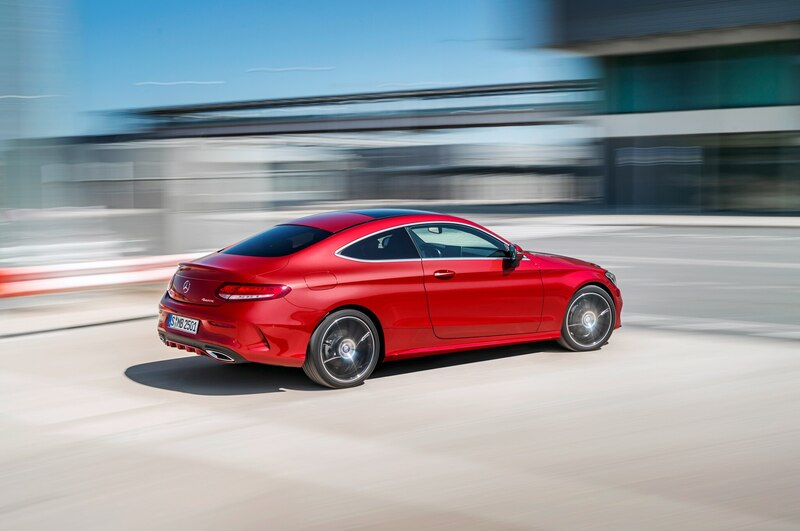 The C-Class Coupe has also grown by 3.7 inches in length and 1.6 inches in width, on a wheelbase that is 3.1 inches longer than the old C-Class Coupe. 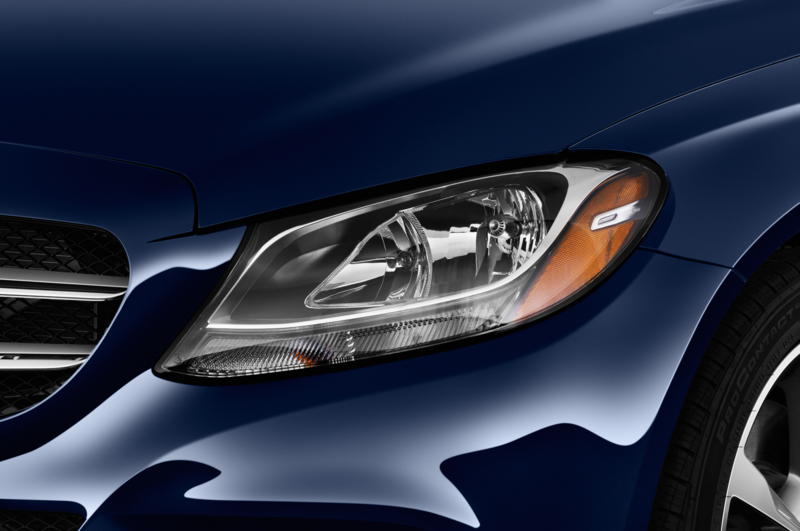 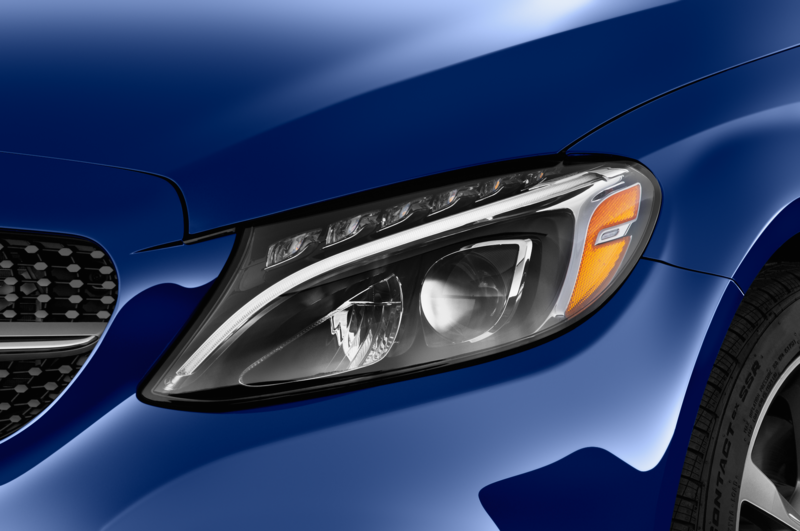 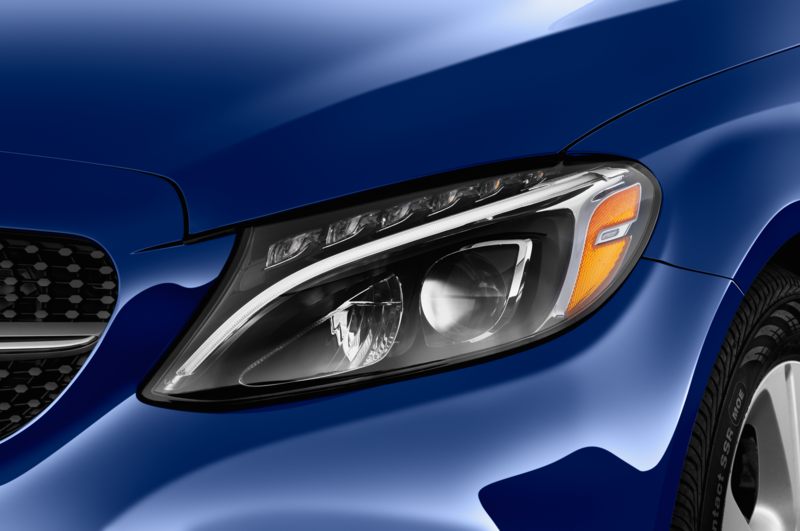 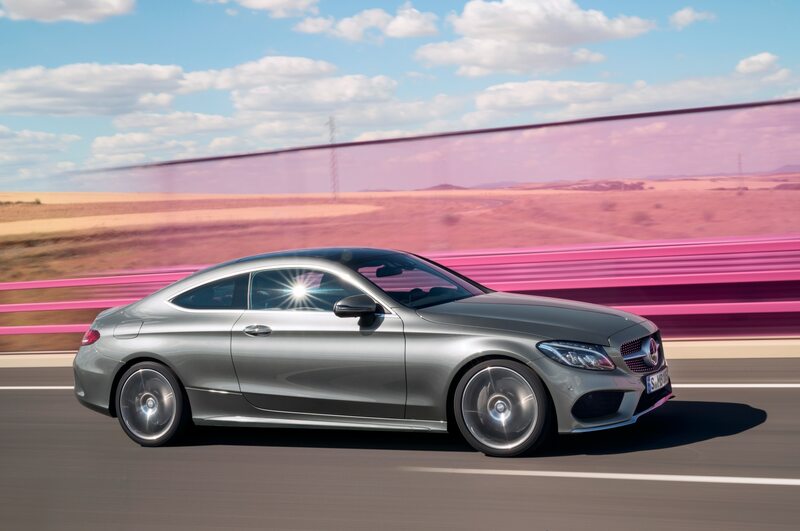 Yet the automaker claims that increased use of lightweight materials has cut weight by an as-yet-unspecified amount. 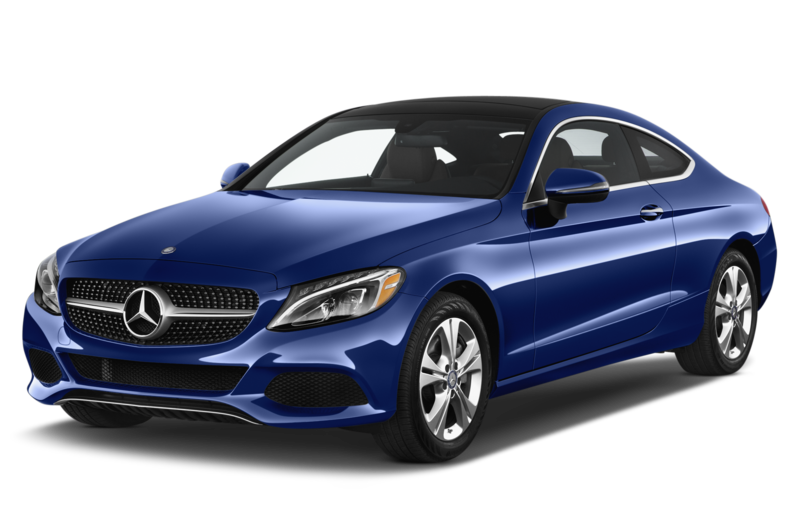 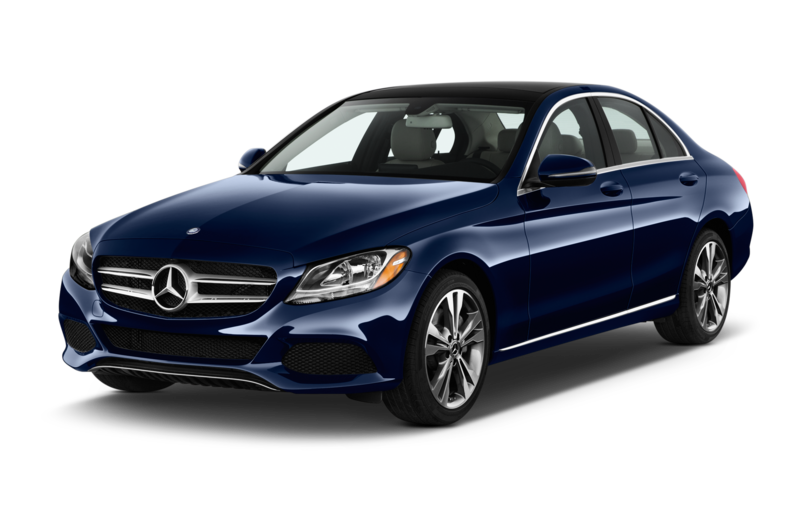 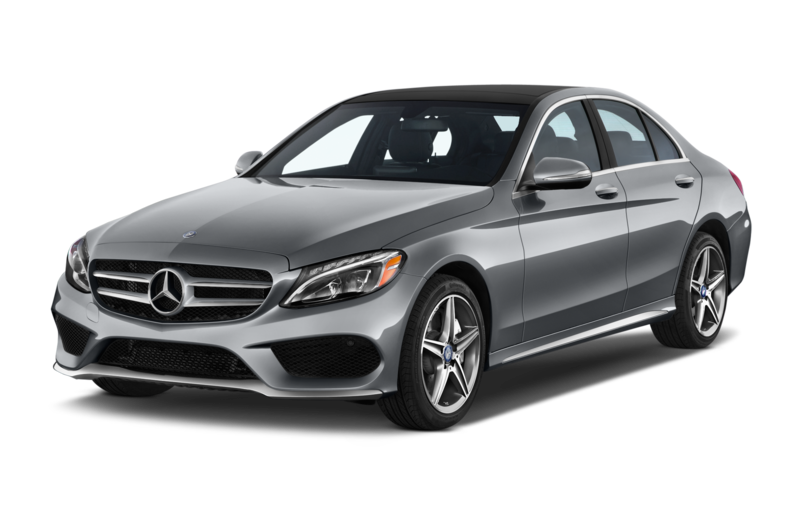 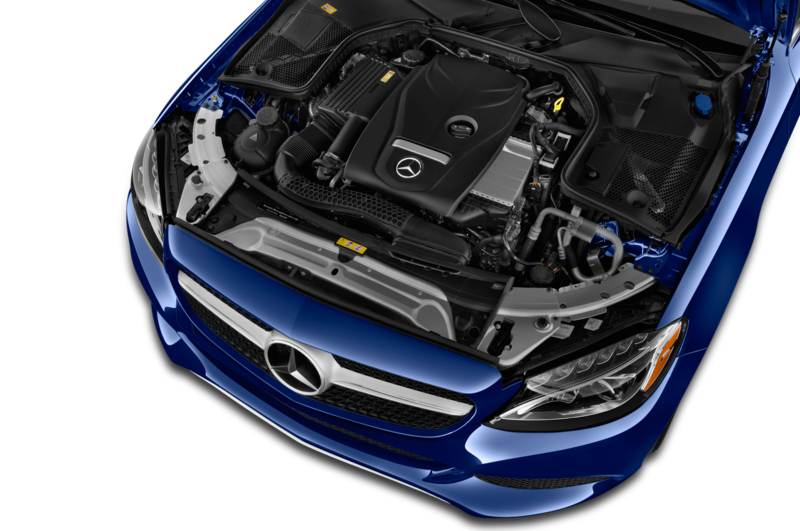 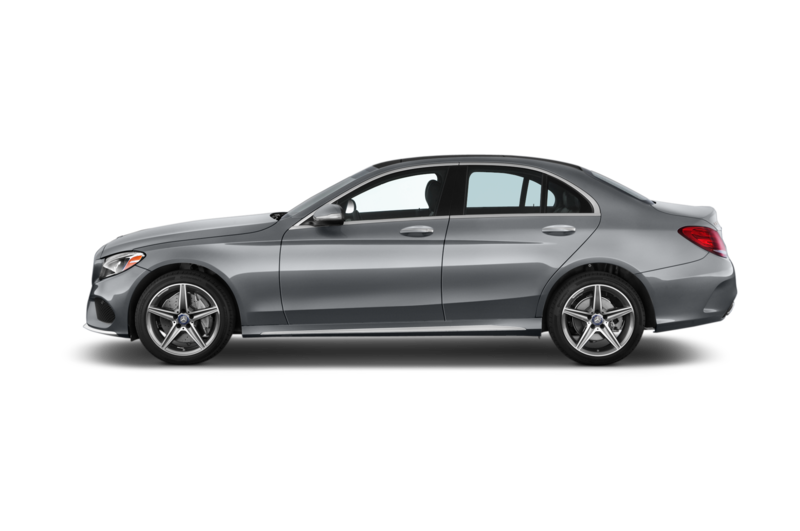 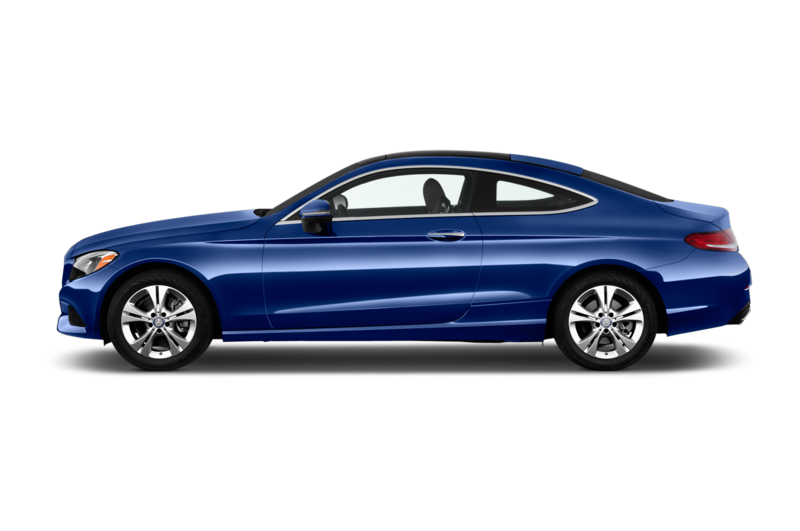 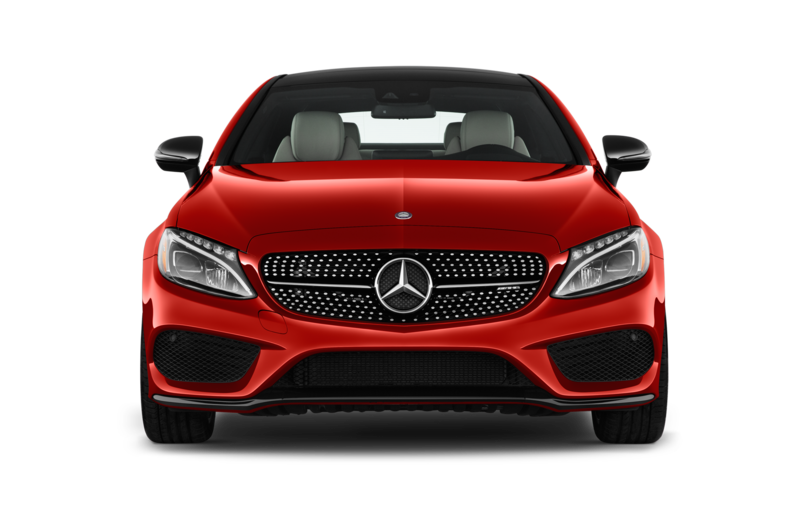 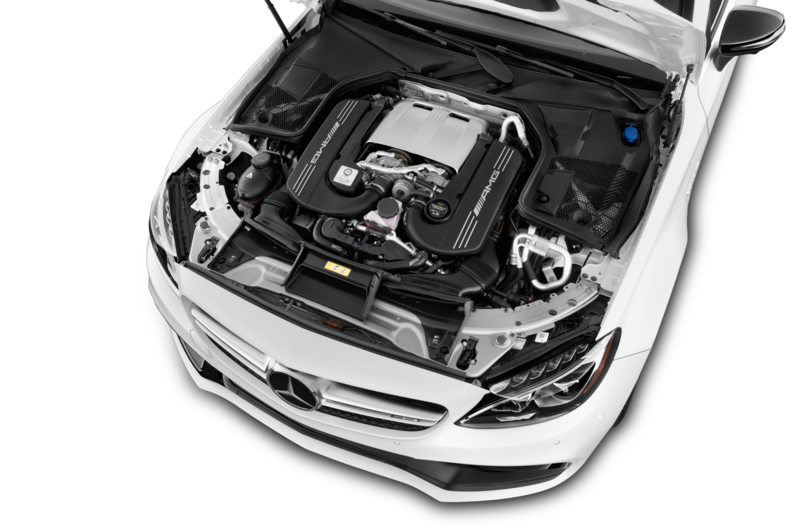 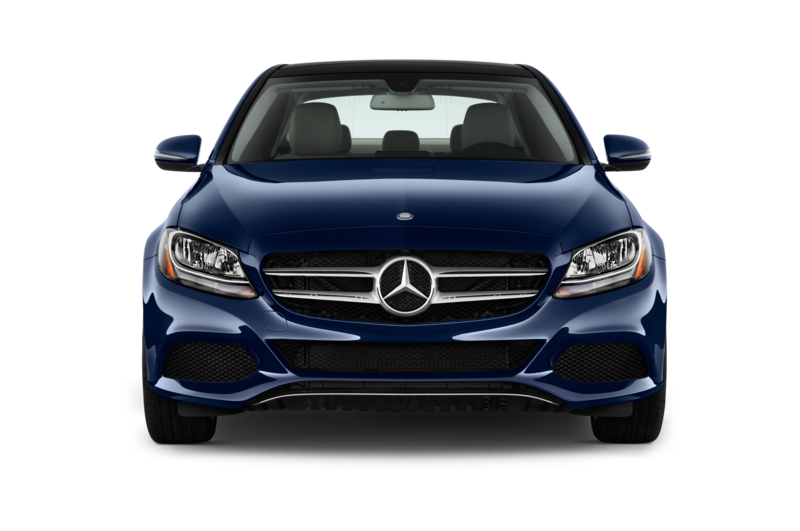 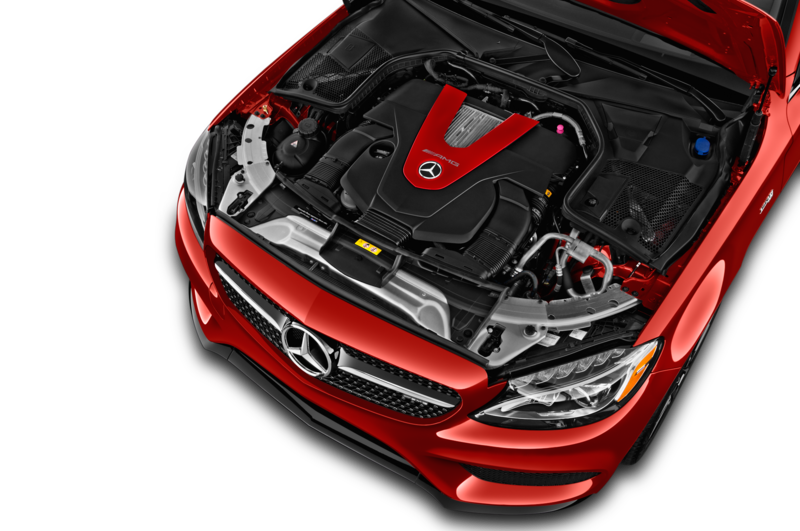 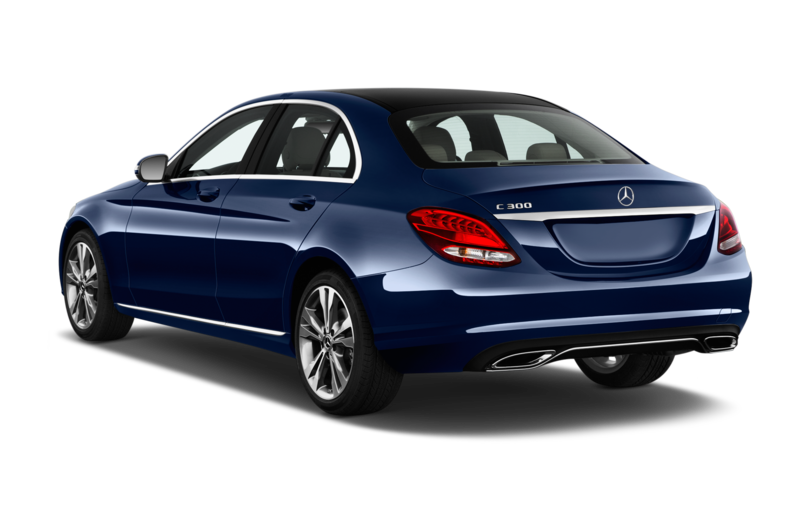 As with the sedan, the 2017 Mercedes-Benz C300 Coupe uses a 2.0-liter turbocharged inline-four engine rated for 241 hp and 273 lb-ft of torque. 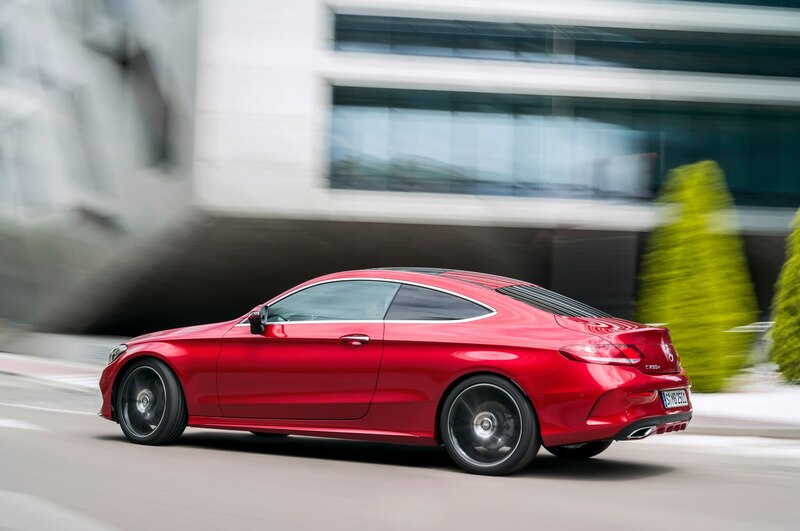 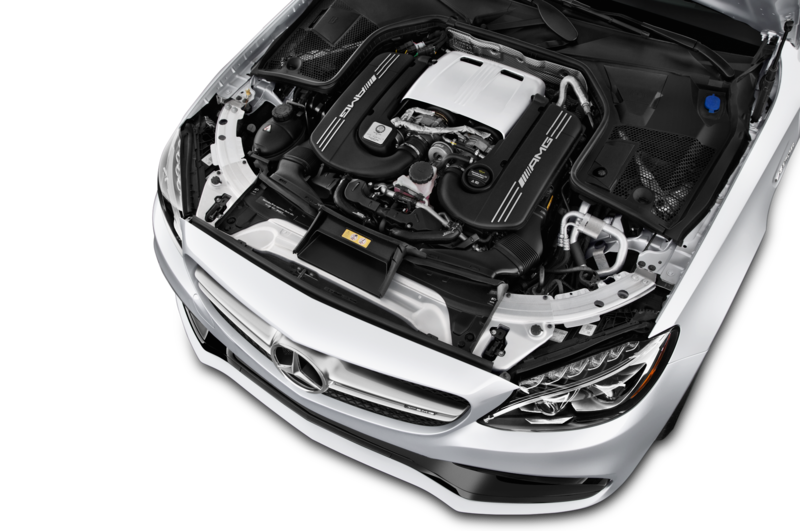 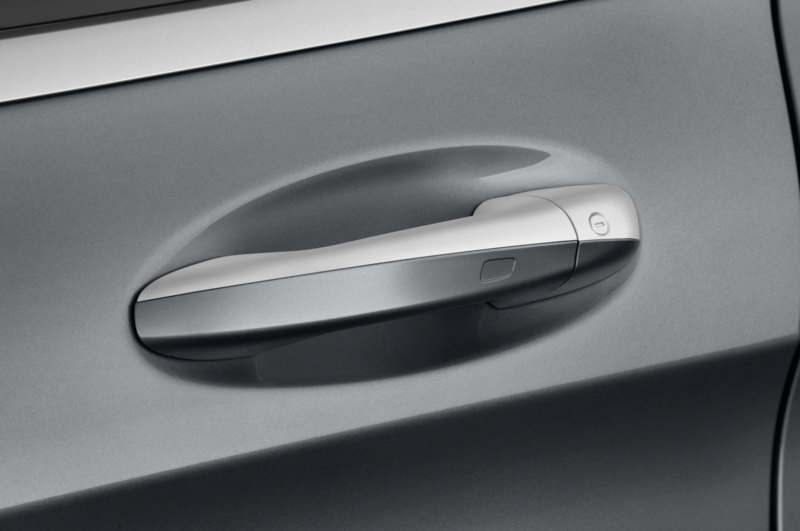 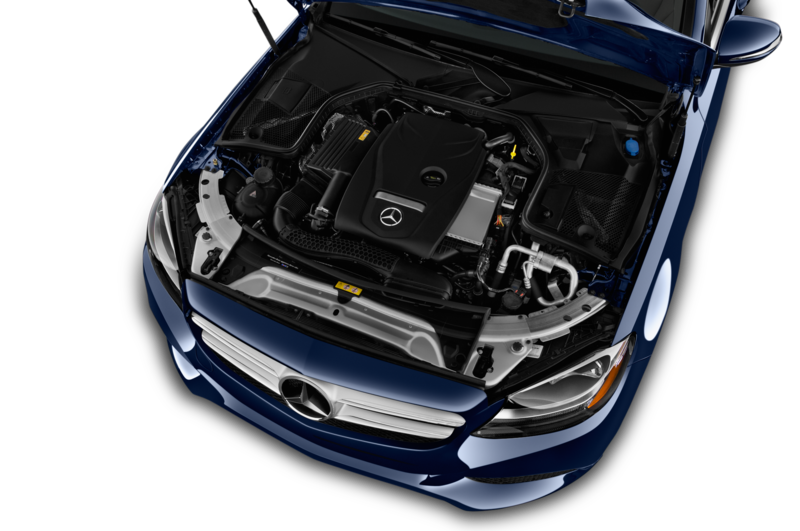 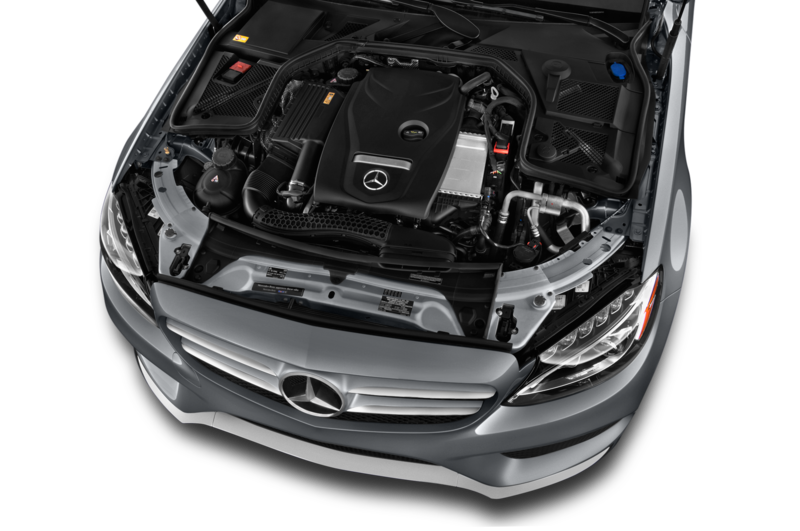 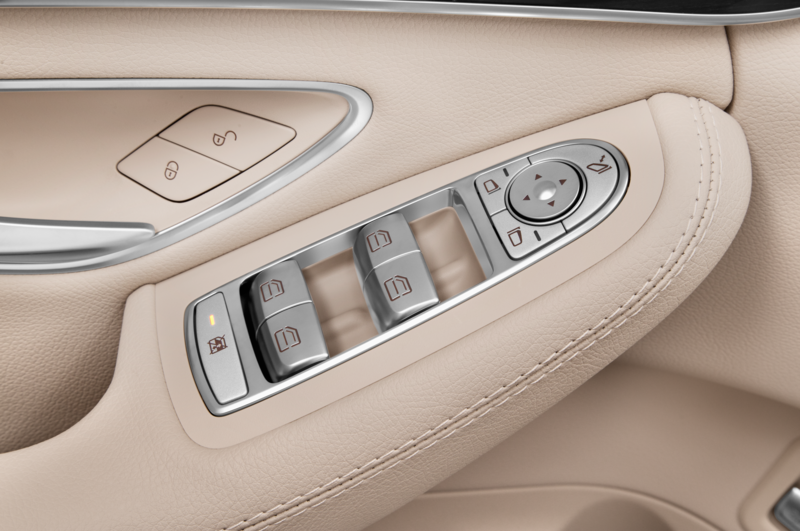 A 7-speed automatic transmission and rear-wheel drive are standard, with 4Matic all-wheel drive optional. 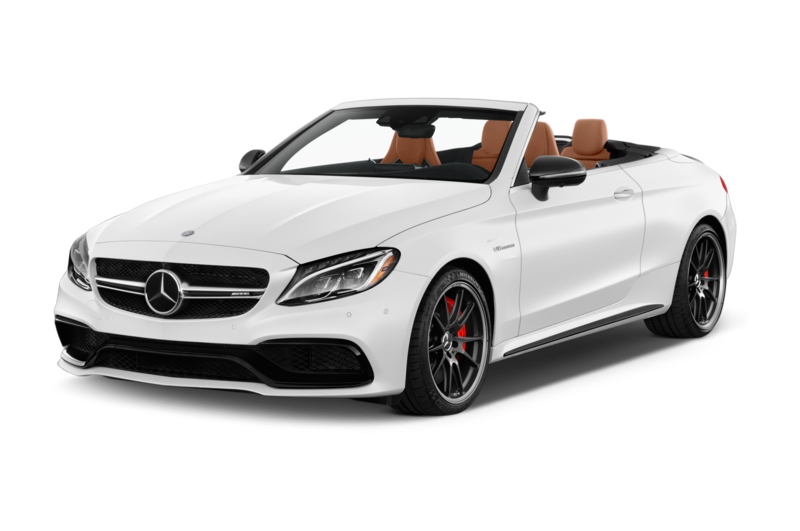 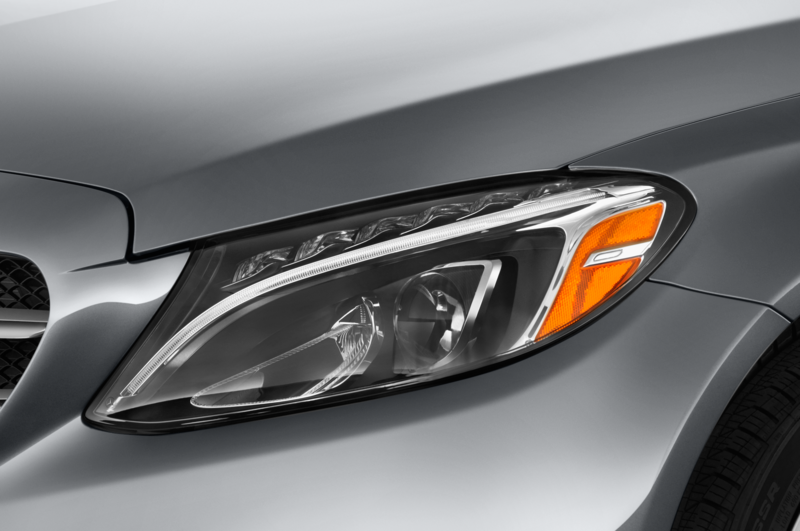 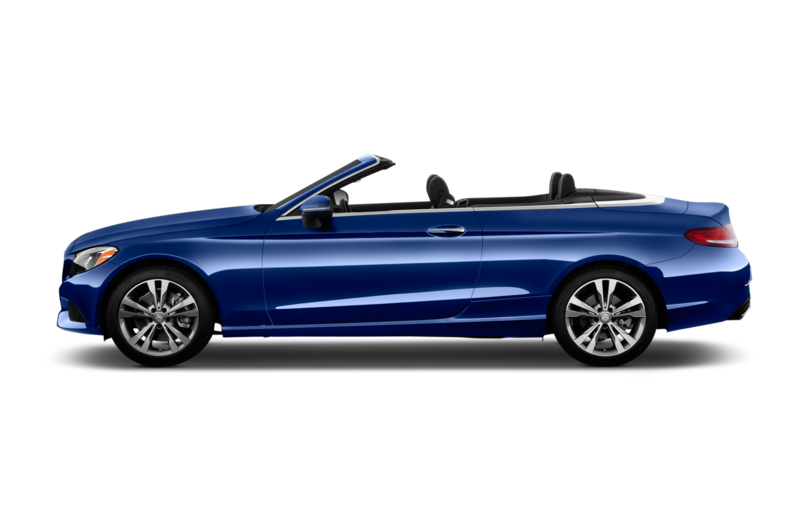 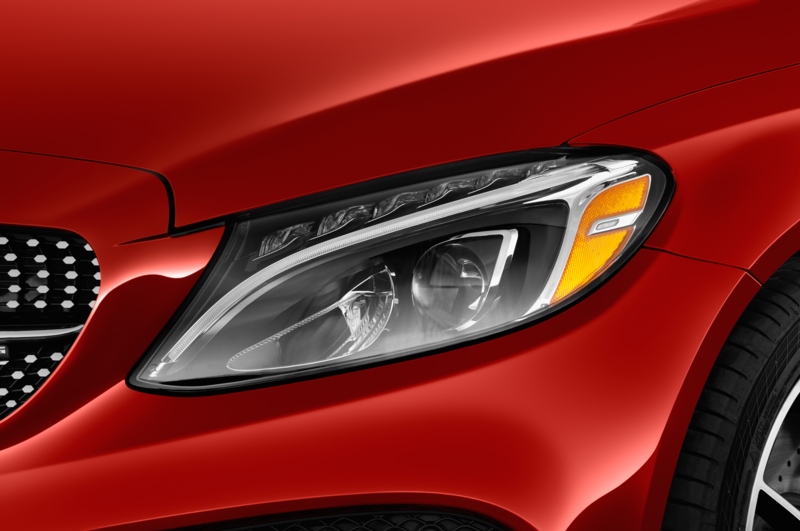 Standard equipment includes LED headlights, Collision Prevention Assist Plus automatic braking, power front seats, 18-inch wheels, a panoramic sunroof, and a 7-inch Comand infotainment display. 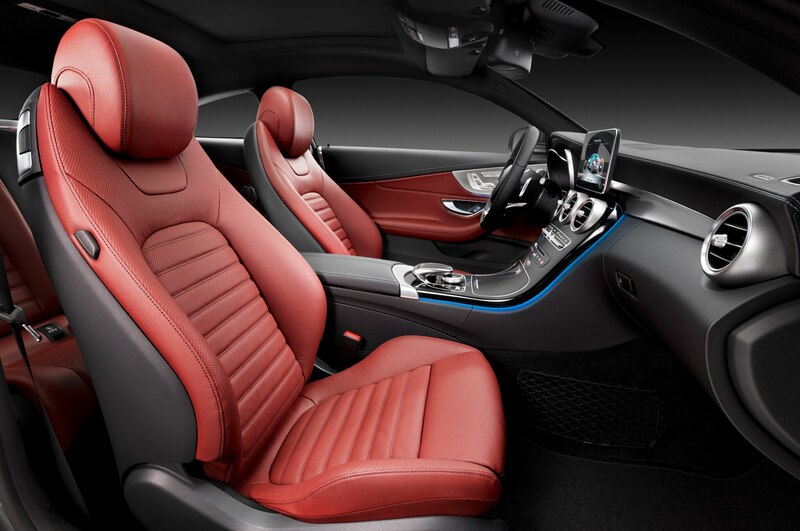 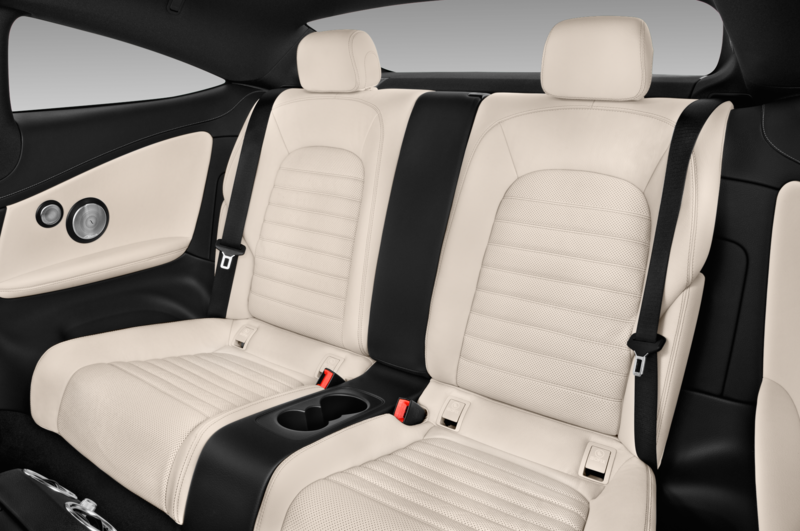 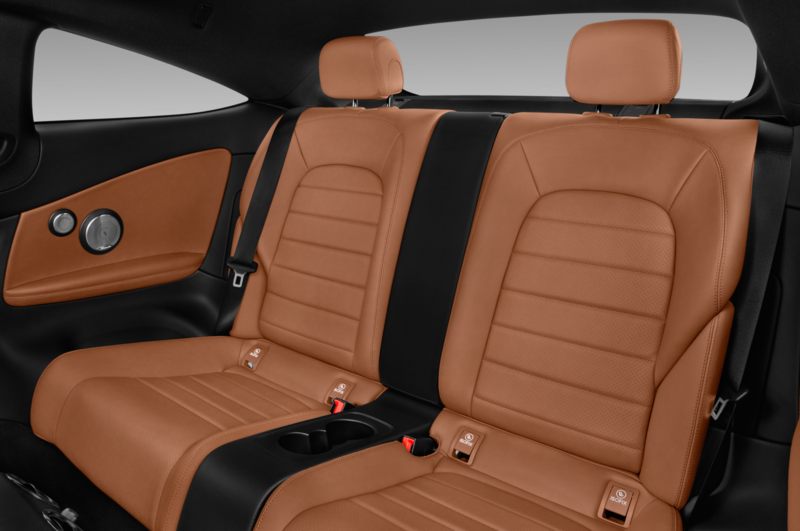 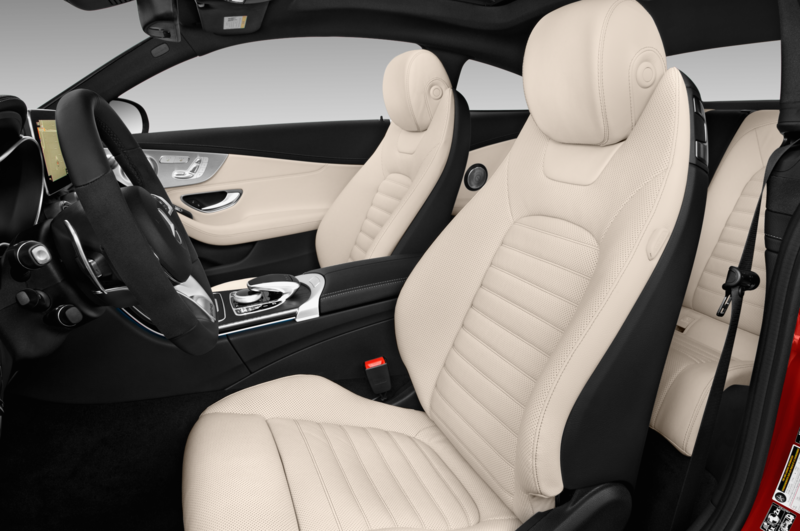 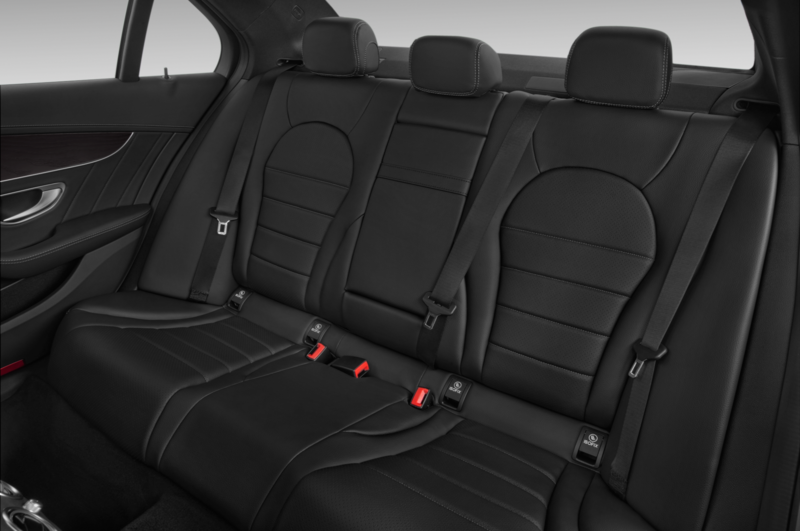 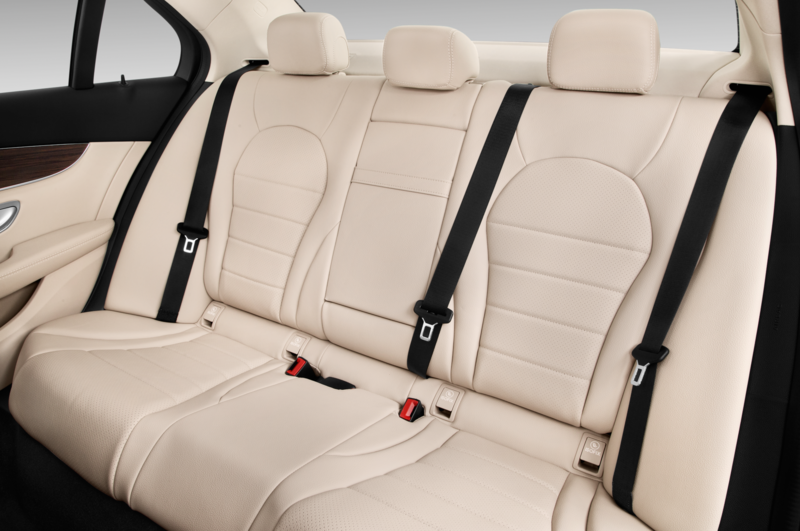 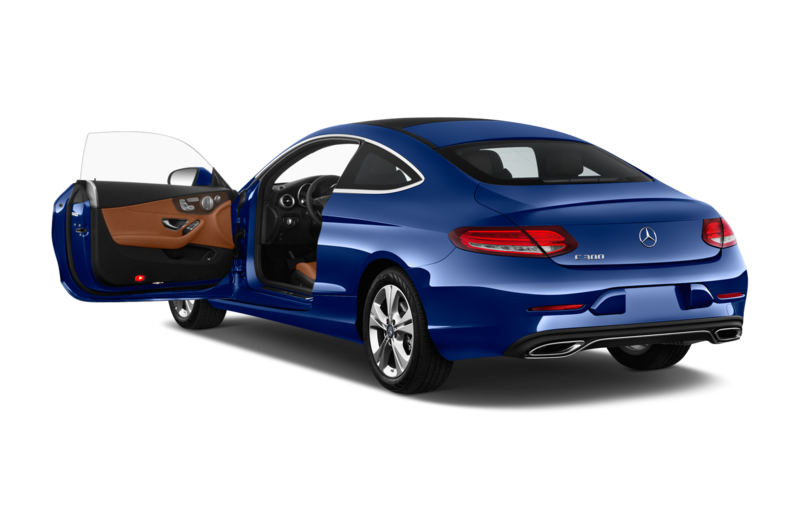 When the car first launches in the spring, the 2017 Mercedes-Benz C300 Coupe will be offered in an Edition 1 package that includes unique nut-brown and black upholstery with turquoise stitching. 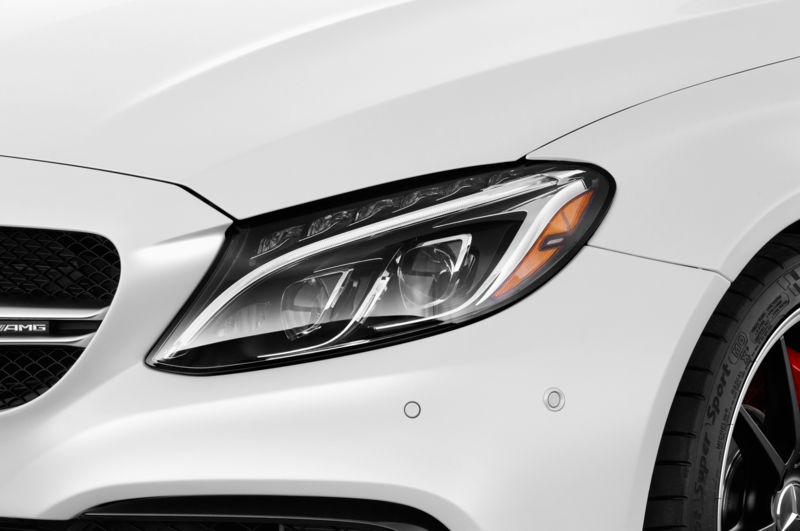 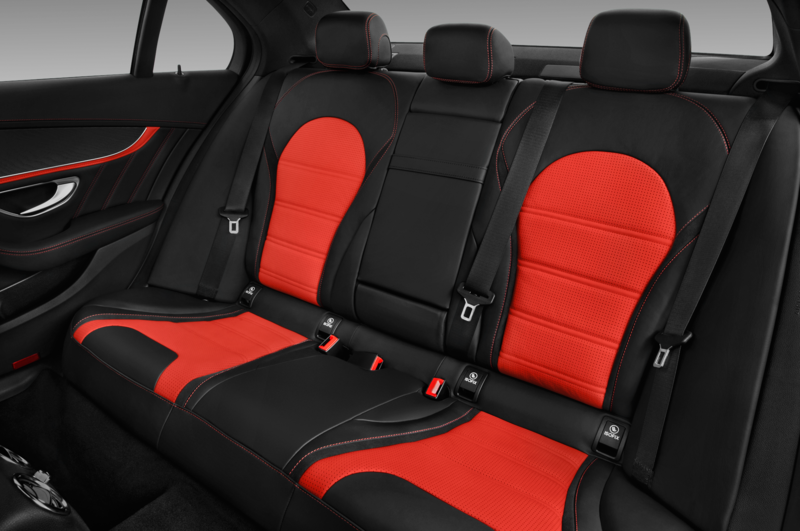 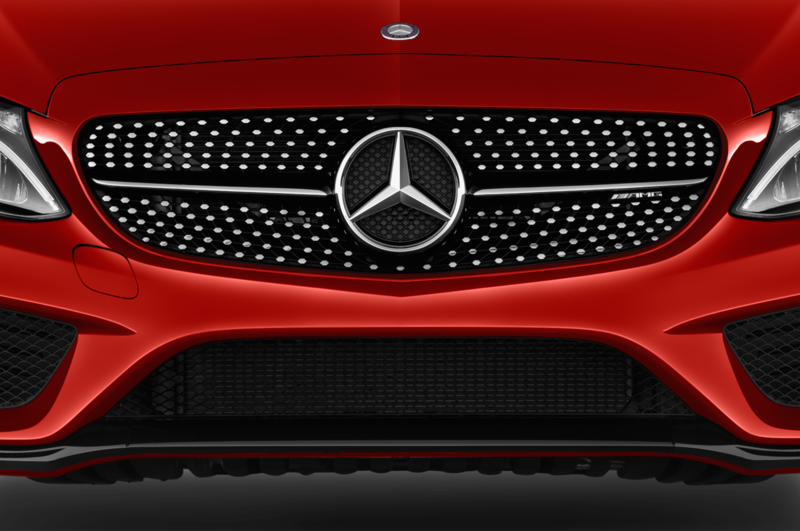 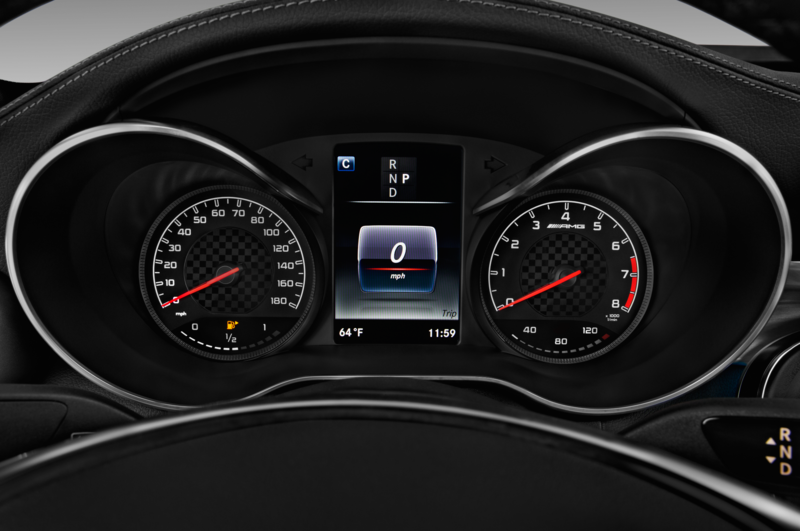 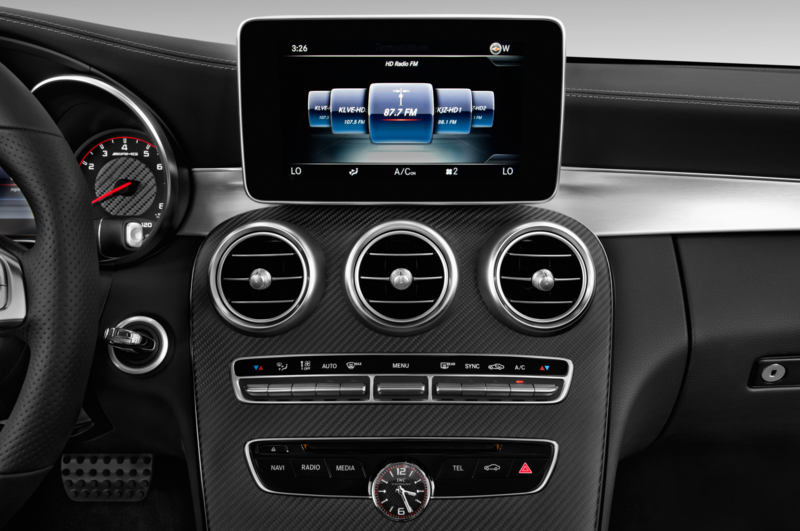 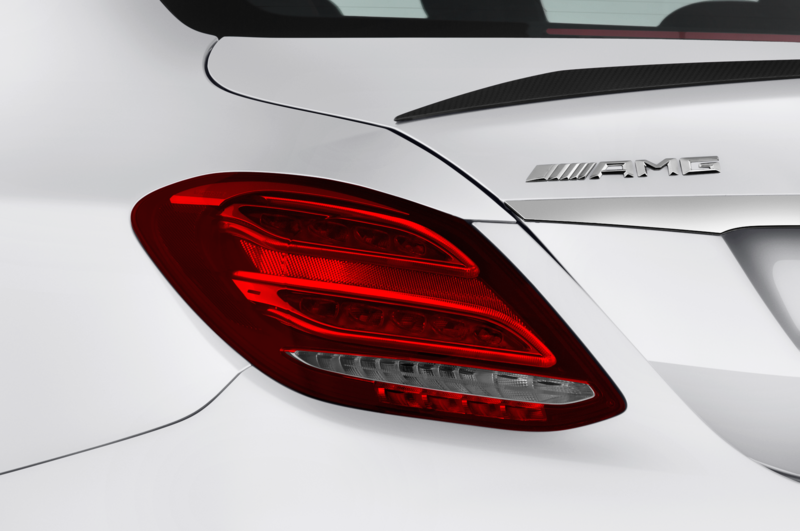 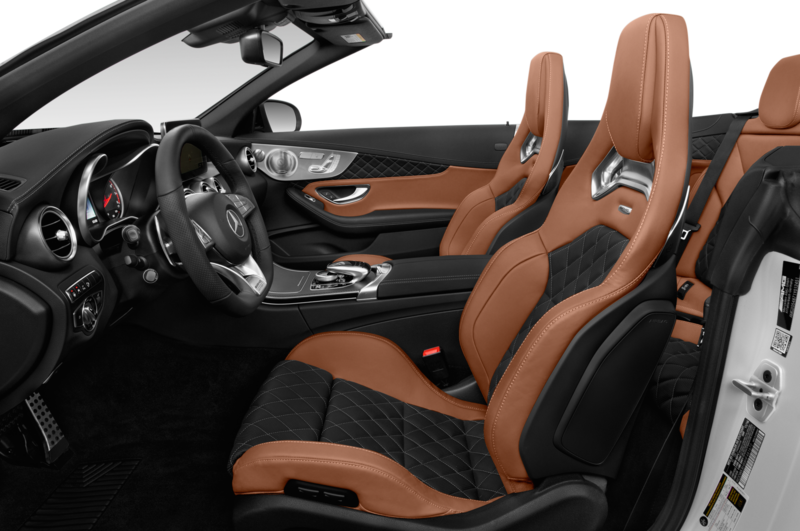 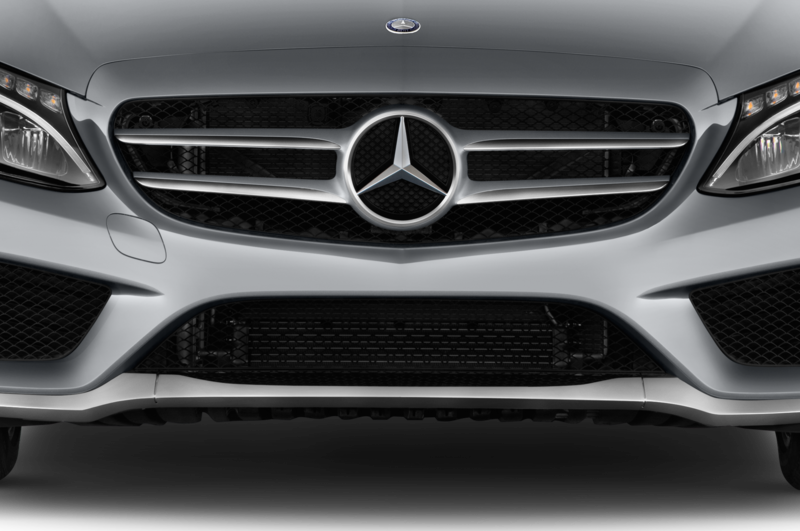 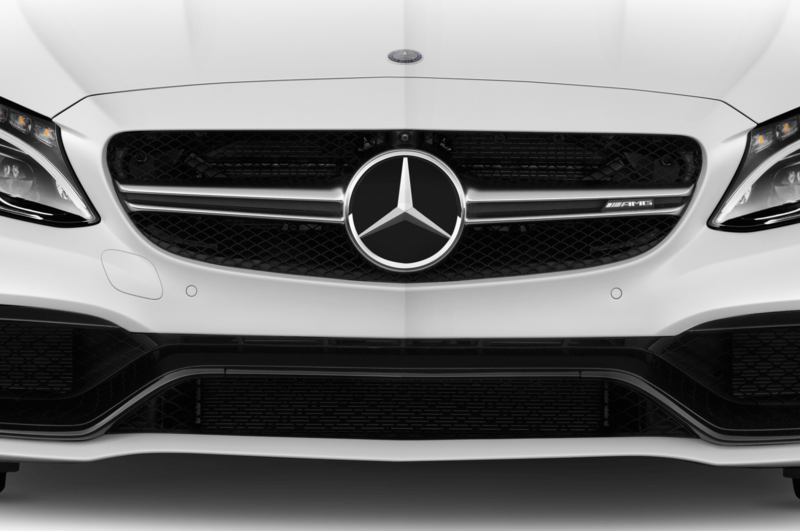 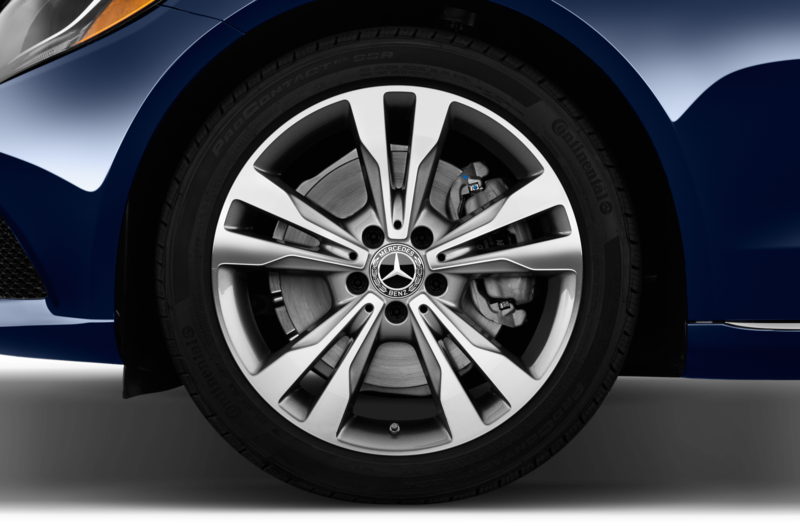 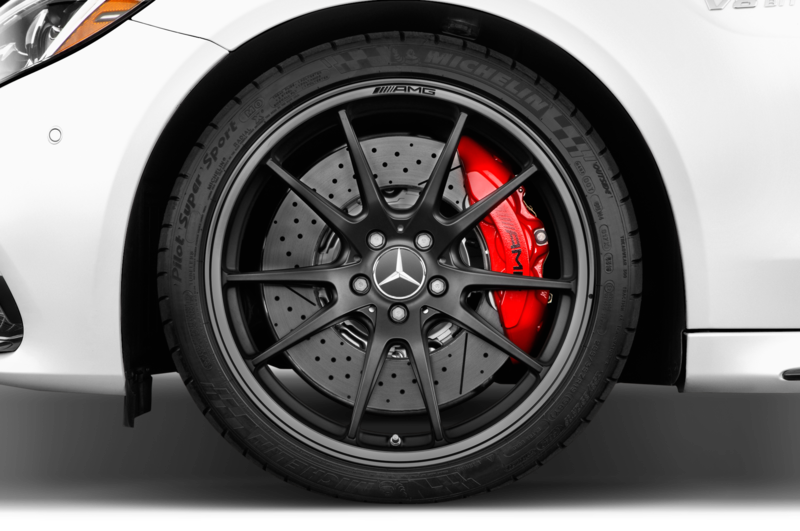 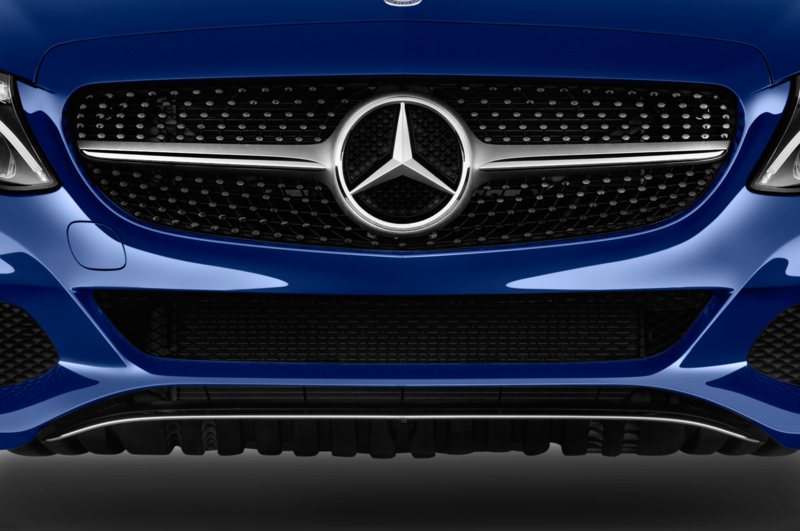 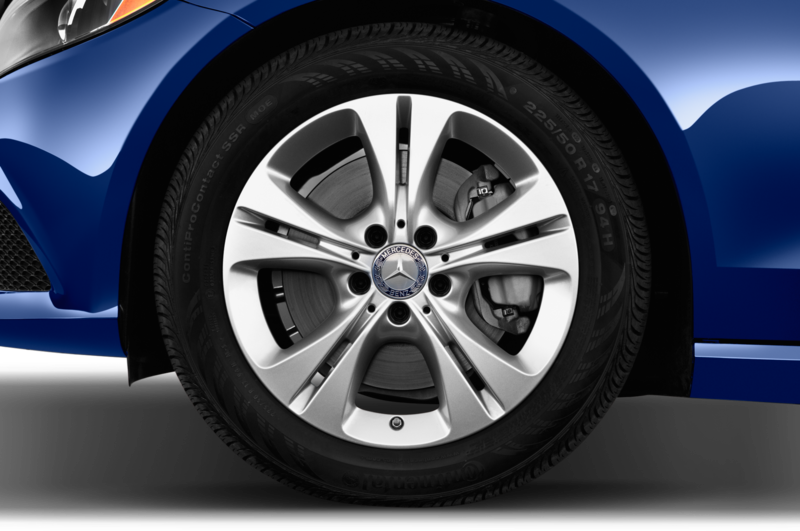 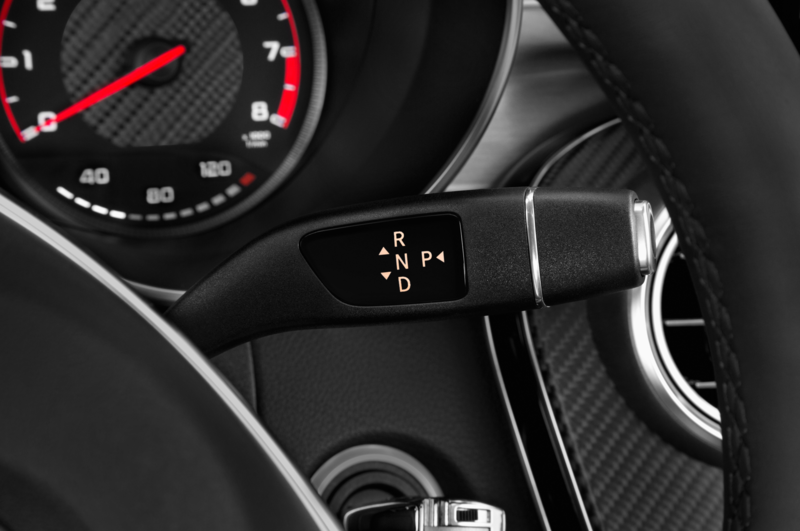 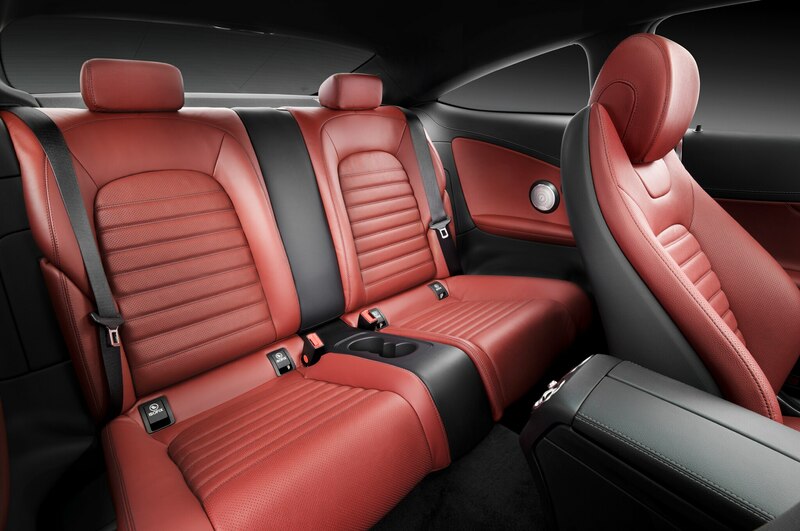 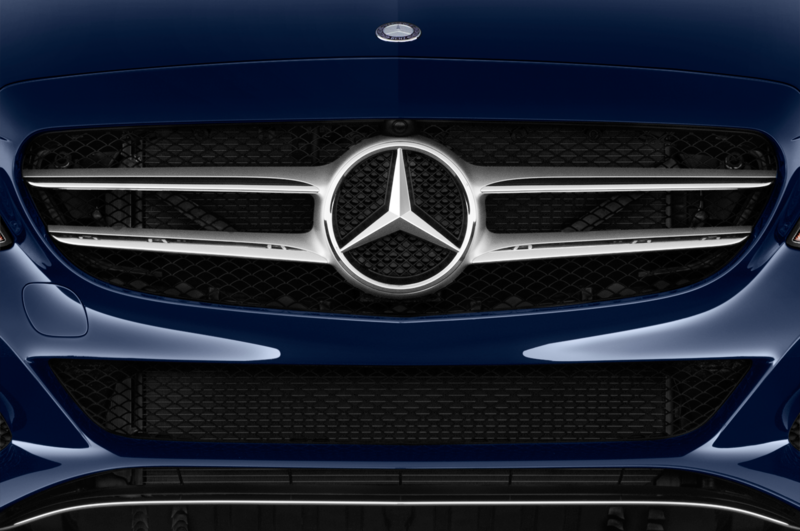 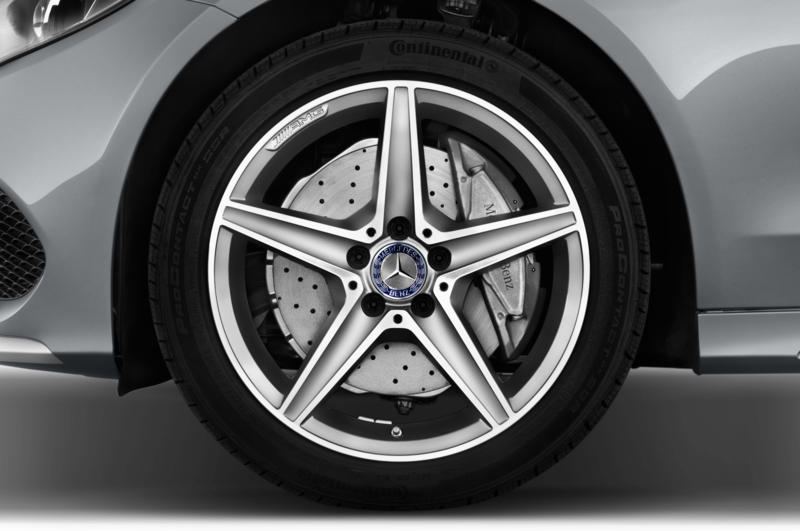 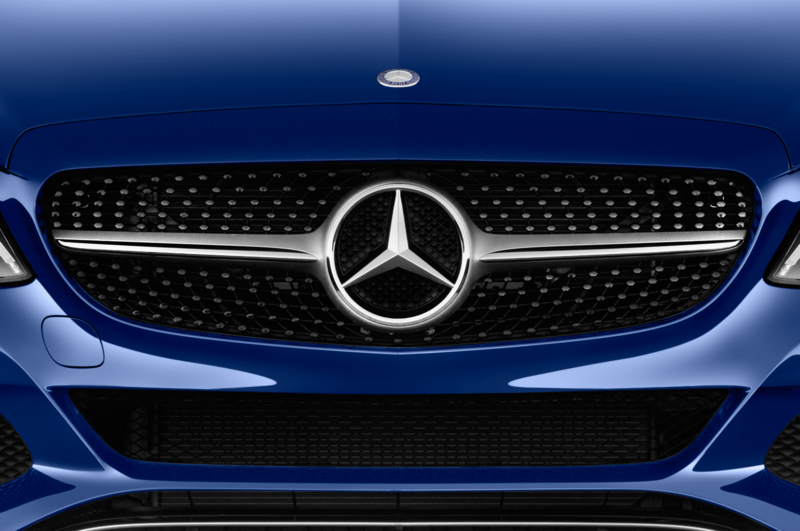 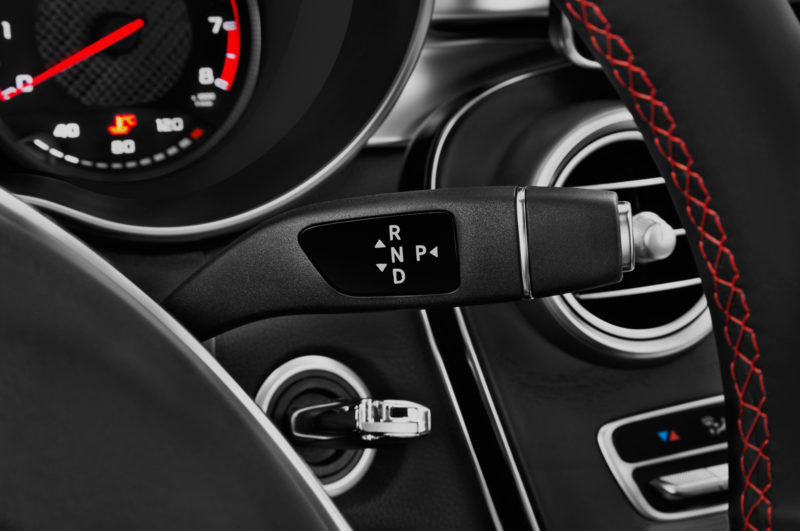 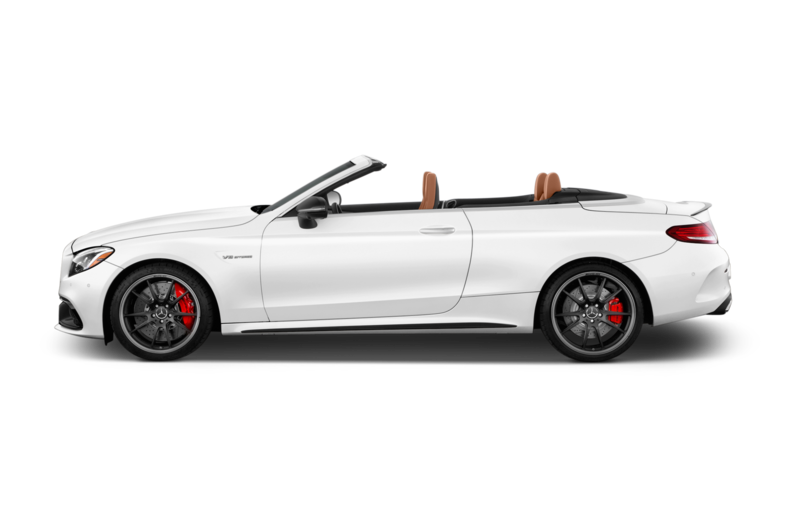 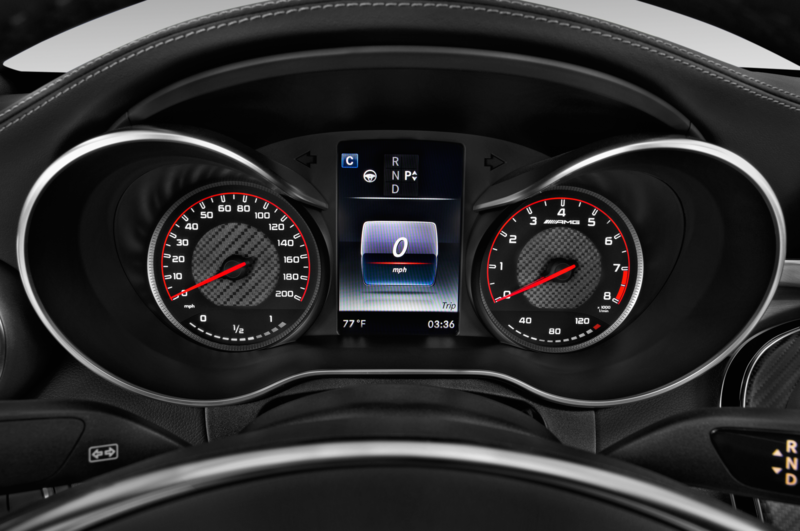 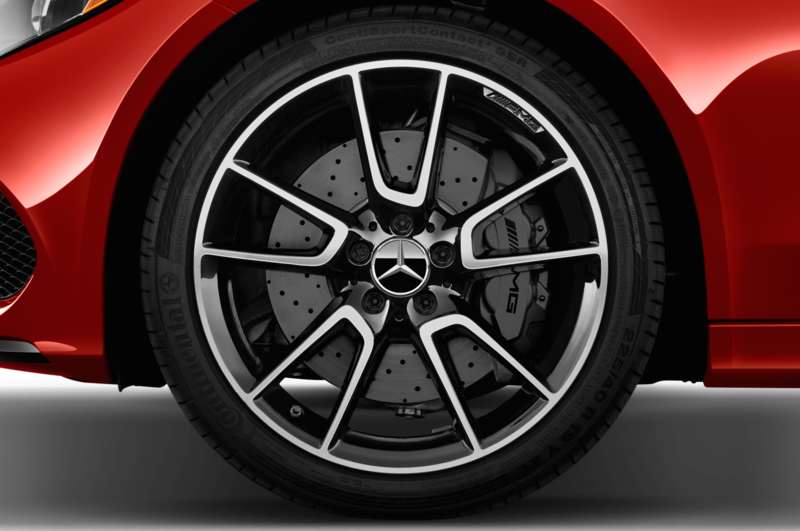 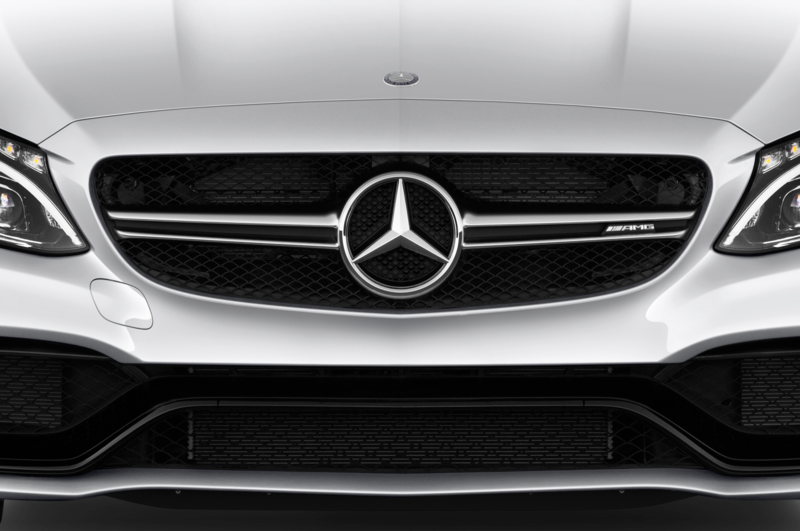 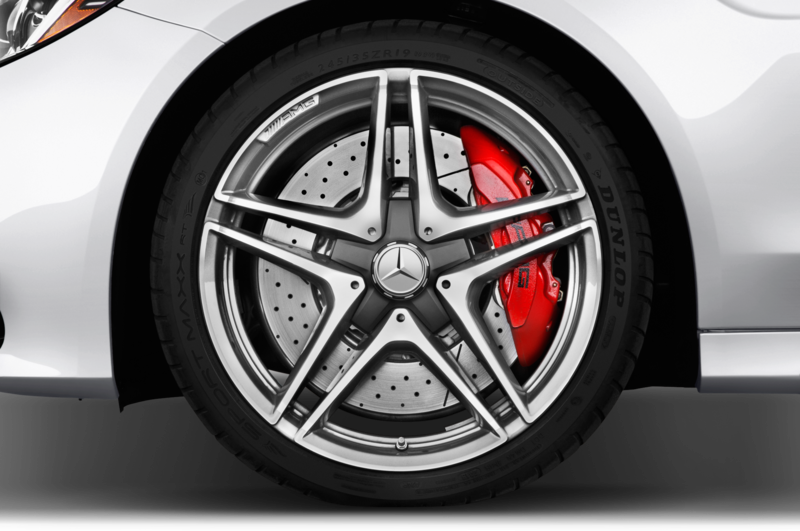 A Sport package for the new car includes AMG-style body parts, AMG 18-inch wheels, a unique grille, a flat-bottom sports steering wheel, and AMG pedals. 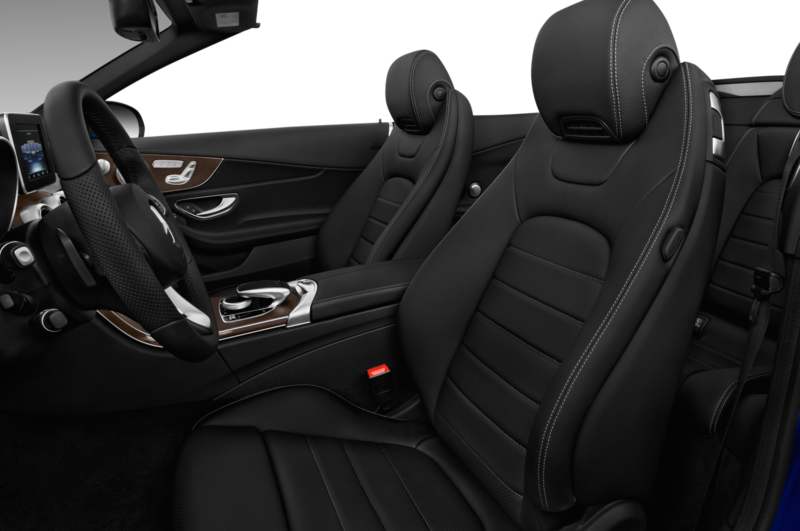 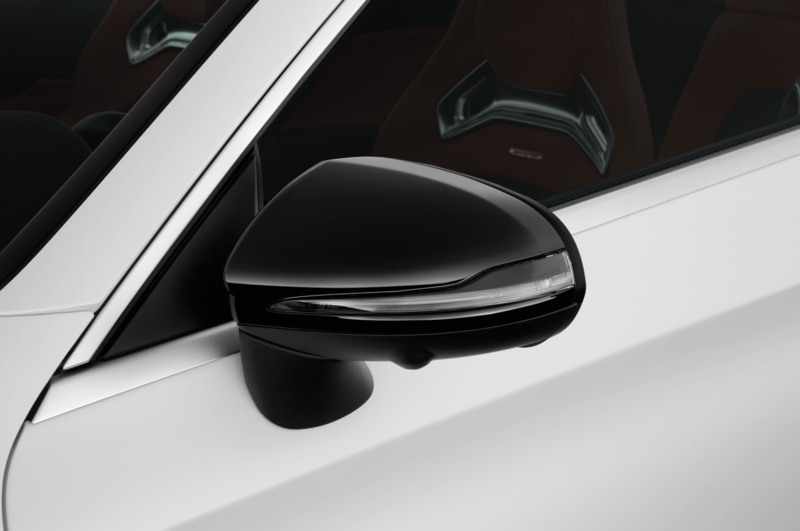 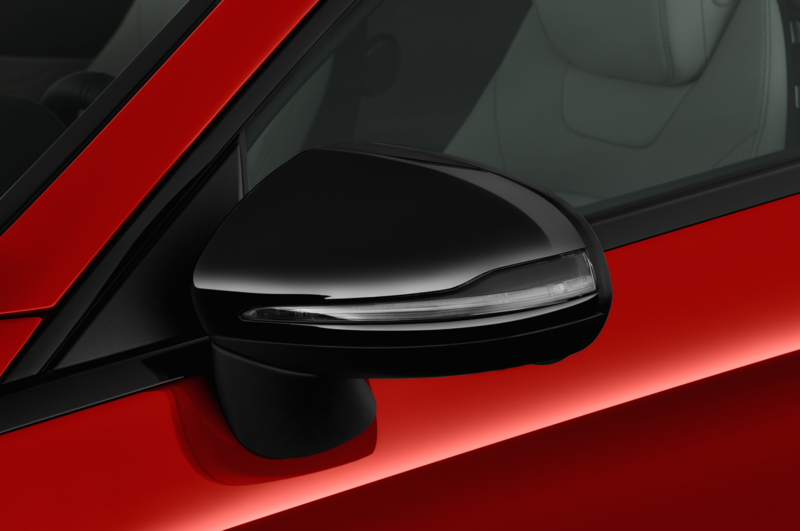 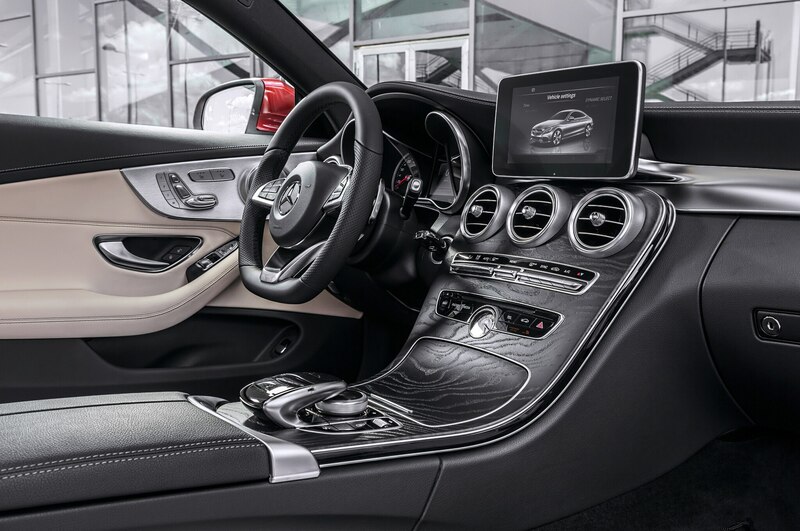 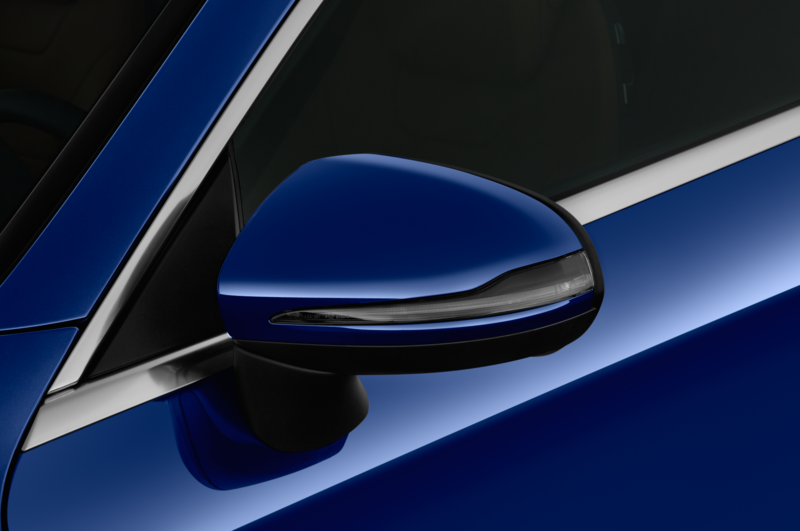 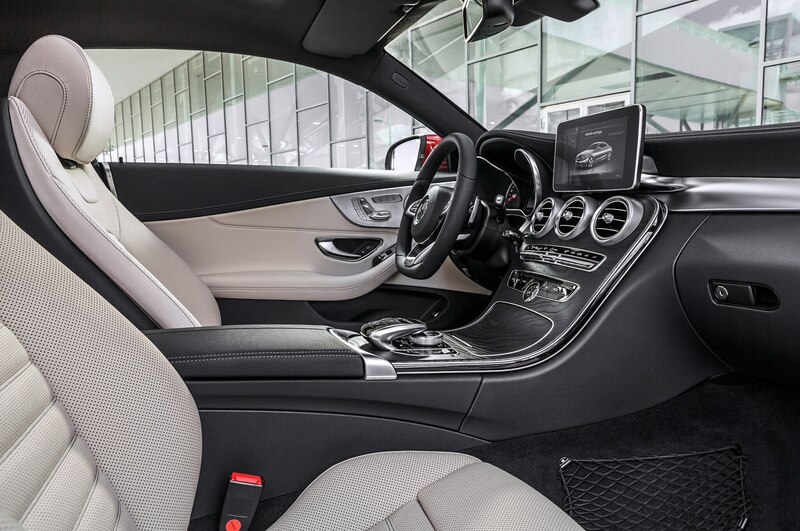 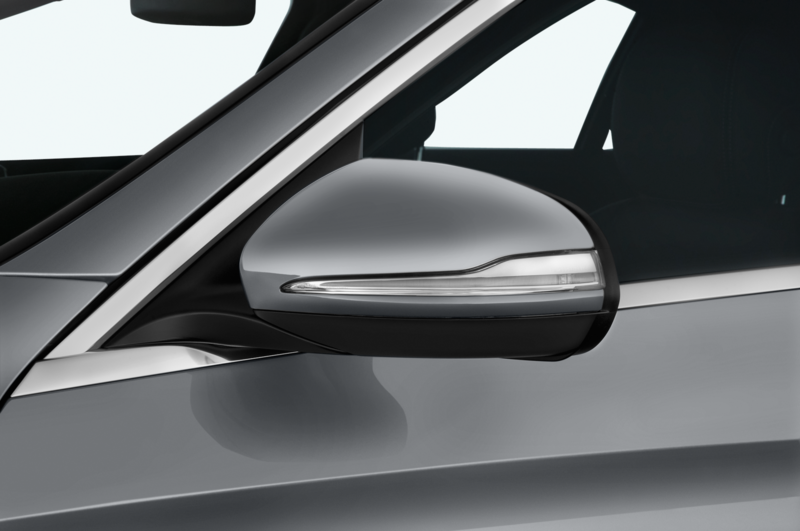 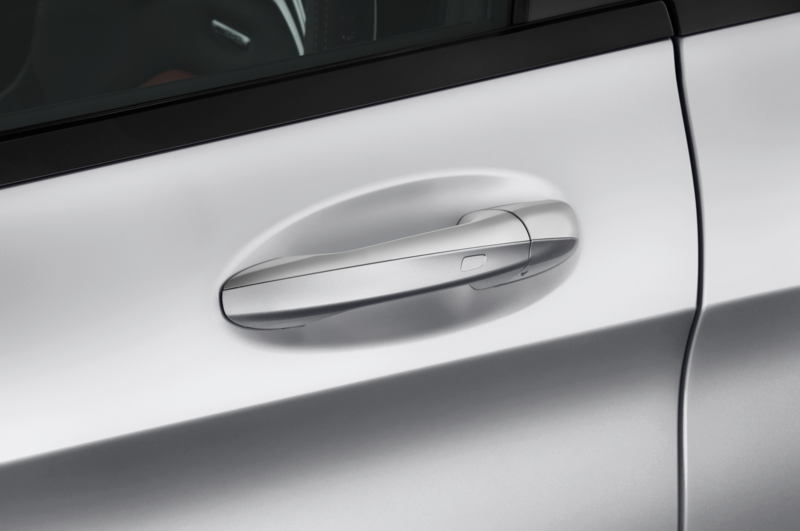 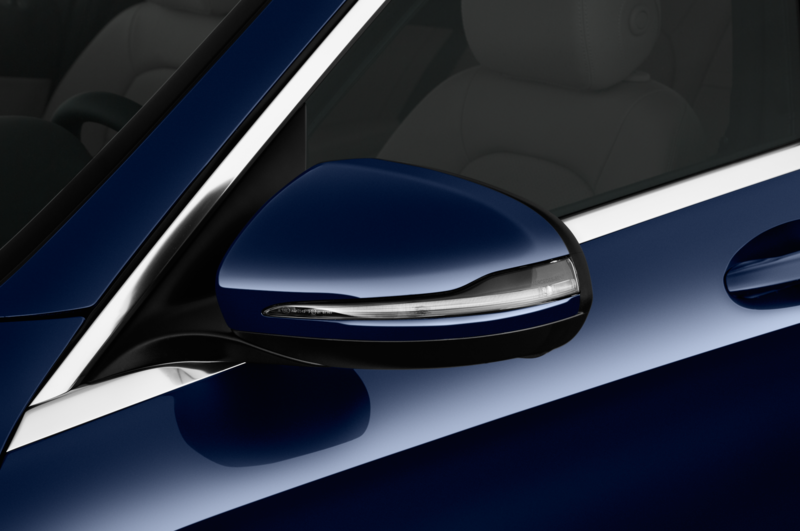 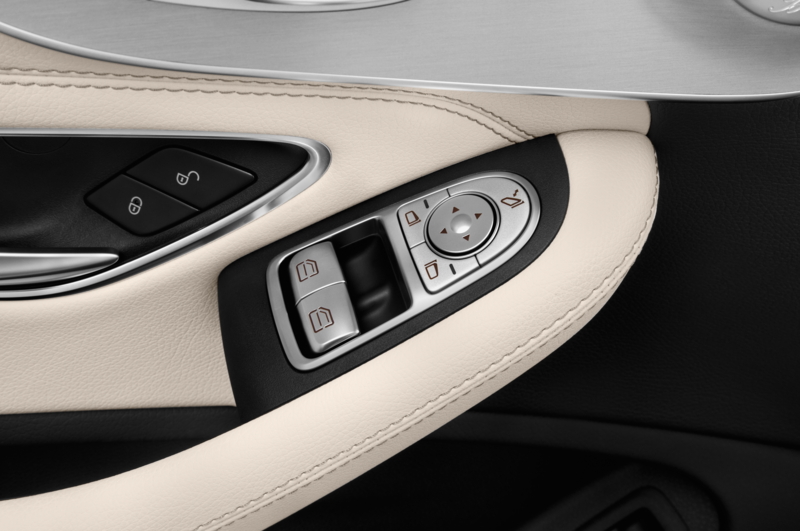 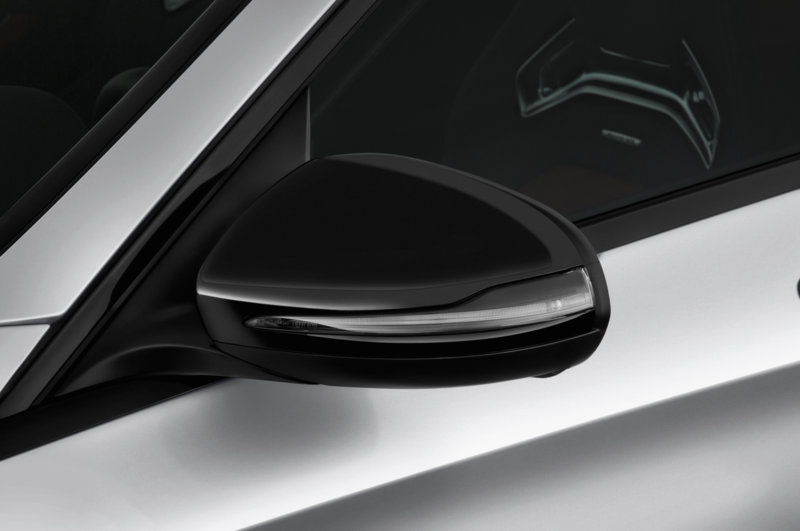 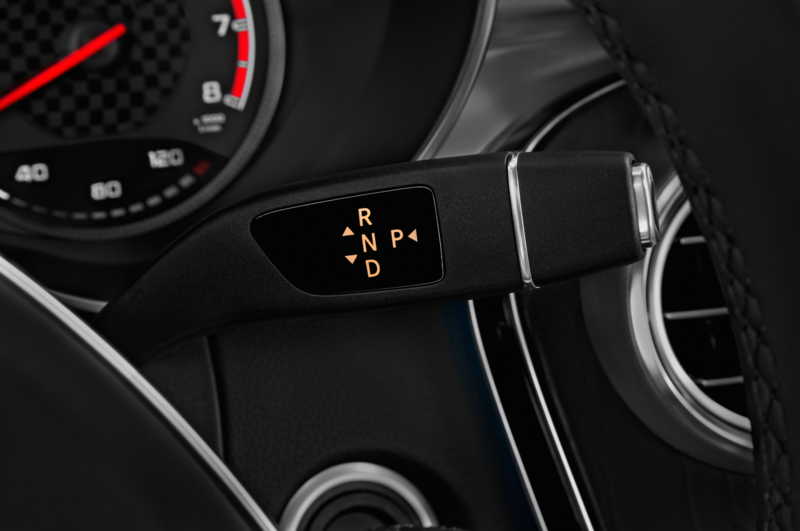 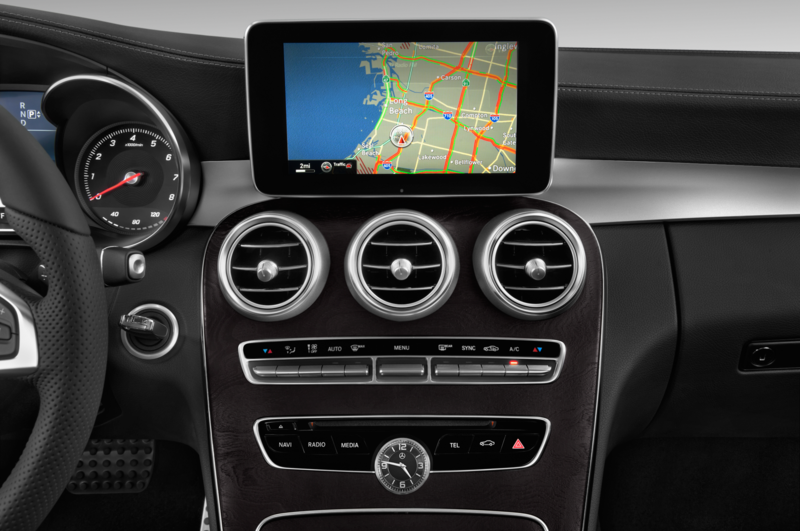 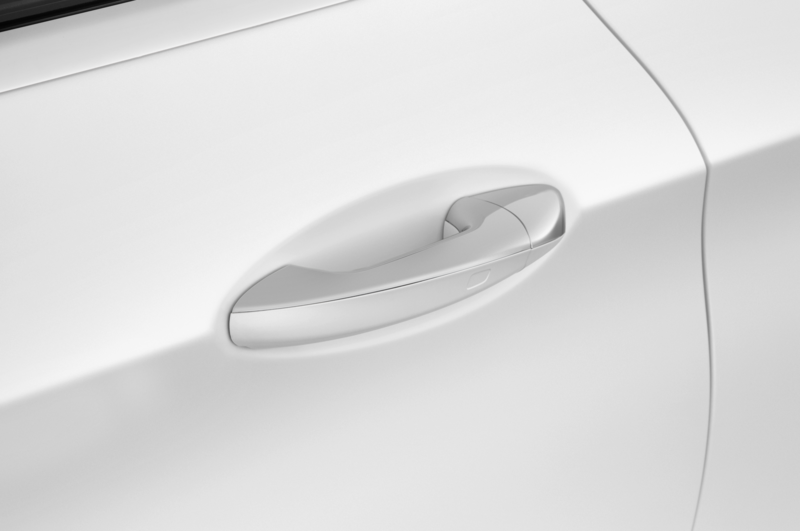 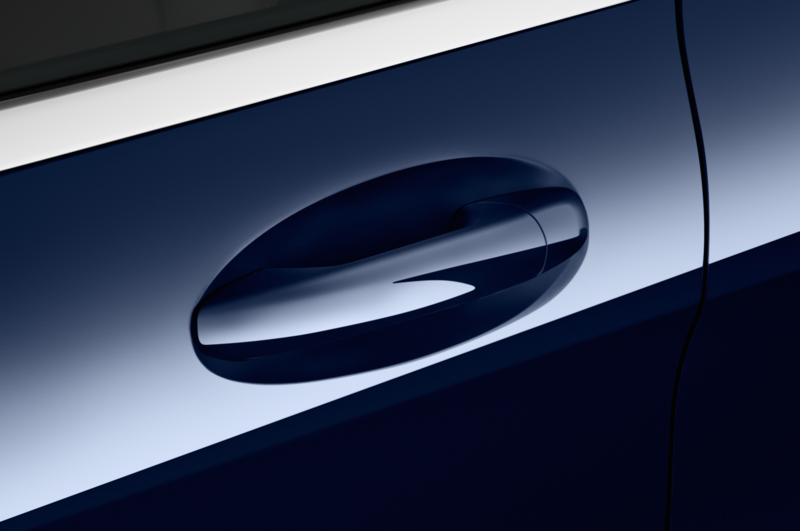 Other options for the C-Class Coupe mirror those available for the sedan, and include features like heated and cooled seats, blind-spot monitoring, active lane-keep assist, adaptive cruise control with steering assist, and a head-up display. 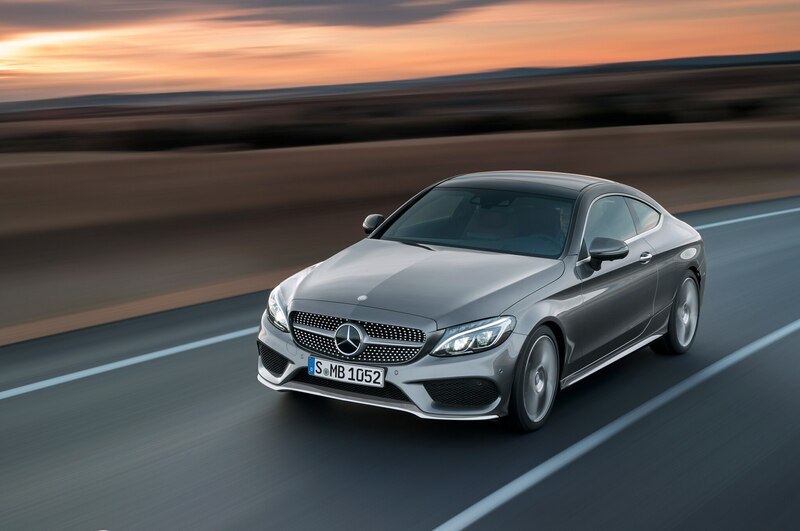 Mercedes considers the Audi A5 and BMW 4 Series as the C-Class Coupe’s primary rivals, but the new turbocharged German coupe must also take on the likes of the Lexus RC200t and the Cadillac ATS 2.0T when it launches in the U.S. in spring 2016. 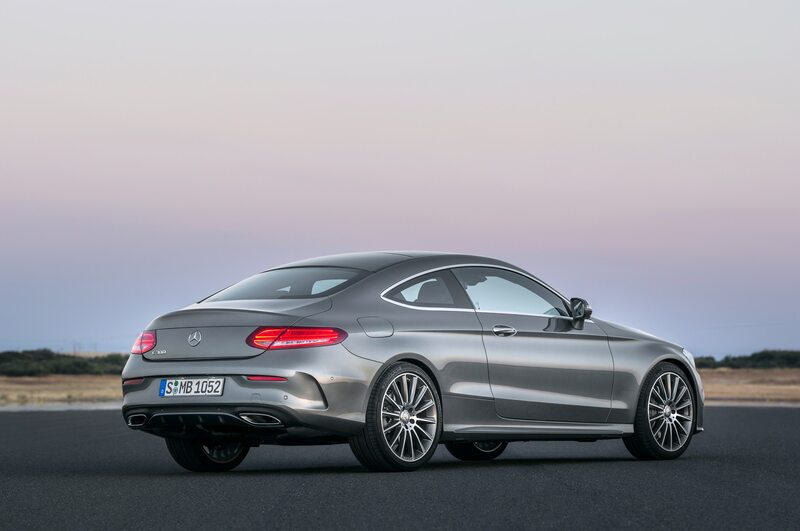 As with the new C-Class sedan, pricing for the coupe will increase significantly, so expect a base sticker price somewhere in the high-$40,000 range. 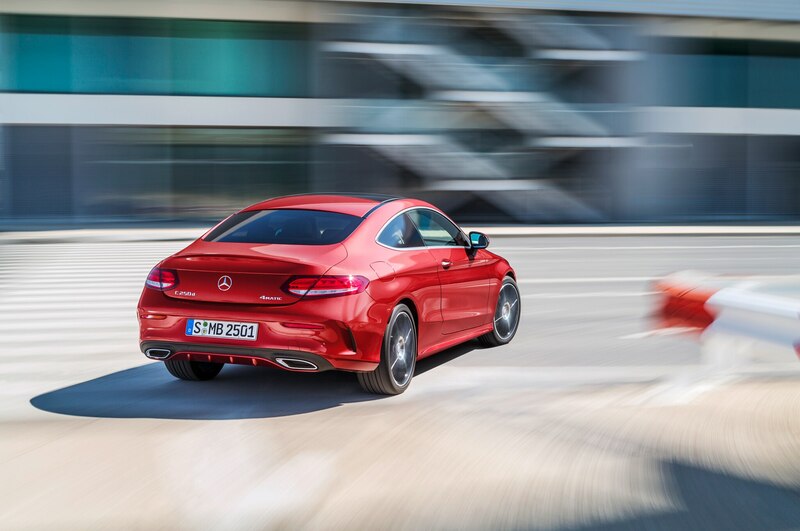 After the C300 launches, expect more powerful versions of the C-Class Coupe to follow, including the Mercedes-AMG C63 coupe.